In 2018, UNCTAD accompanied African nations as they signed the African Continental Free Trade Agreement to usher in a new age of decisive, pan-African policymaking on trade and development. We have also seen increased demand for UNCTAD support as many countries in 2018 turned to new sources of economic dynamism from renewed South-South links, such as through China’s Belt and Road Initiative. These new opportunities and challenges require new thinking and renewed intellectual leadership, and 2019 will be a make or break year for trade and development in many respects. It will mark the first high-level political forum under the auspices of the General Assembly, and we only have one year left until the “early harvest” targets of the Sustainable Development Goals come due in 2020. These notably include targets at the heart of UNCTAD’s work programme, such as ending harmful fisheries subsidies and doubling the least developed countries’ share of world exports. In 2019 we will also begin preparations for UNCTAD’s 15th ministerial conference, which will be held in 2020. The Nairobi Maafikiano is the outcome document of the fourteenth session of the United Nations Conference on Trade and Development which frames the agenda for our work over a four-year period until 2020. In 2018 we completed a sequence of innovative analytical and consensus-building actions on the trade effects of intra-African migration that backed the lead-up to the signing of the Global Compact on Migration in Morocco in December. This work included the release of the Economic Development in Africa Report 2018: Migration for Structural Transformation in May which showed how intra-African migration is relevant to regional and continental integration and shows that there are still many knowledge gaps, including the relationship between migration, economic and trade policies. The report adopted a human-centered narrative in identifying opportunities for absorption of labour in different sectors across the continent and published new data on patterns of intra-African migration and how they affect Africa’s socio-economic development. The report’s conclusions formed the backdrop to a High-Level Panel on Migration and Structural Transformation in Africa during the United Nations General Assembly we organized with the governments of Morocco and Rwanda in September. Joining the debate, the president of the 73rd session of the United Nations General Assembly, Fernanda María Espinosa Garcés, commended UNCTAD for its analysis and for inviting her to the meeting. Nasser Bourita, Minister for Foreign Affairs and Cooperation, Kingdom of Morocco, said that a better understanding of the facts of migration in Africa was needed to better devise policy solutions. Rwanda’s Minister of Foreign Affairs, Cooperation and East African Community, Louise Mushikiwabo, thanked UNCTAD for “bringing the science” to the topic of intra-African migration, while Federica Mogherini, High Representative of the European Union for Foreign Affairs and Security Policy and Vice-President of the European Commission, said she was grateful for the opportunity to “for helping us focus on the positive sides of migration”. In 2018, we consolidated our position as the leader of the United Nations coalition to end harmful fisheries subsidies and contributed with concrete proposals to advance an agreement on fisheries subsidies at the World Trade Organization. In June, representatives of more than 100 countries attended the second Oceans Forum on Trade-Related Aspects of Sustainable Development Goal 14, which we co-organized with the African, Caribbean and Pacific Group; the Commonwealth; Economic Commission for Europe; Food and Agriculture Organization of the United Nations; International Ocean Institute; and United Nations Environment Programme. The overexploitation of fish stocks is a global challenge. 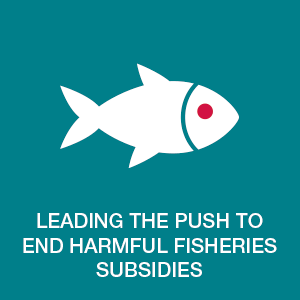 Harmful fisheries subsidies directly contribute to overfishing and overcapacity. Nearly, 33.1% of assessed fish stocks are overexploited or depleted. This situation not only threatens the whole marine ecosystem; it compromises welfare and life on land. Fish is critical for food security, representing 40% of the protein intake of the global population. And the sustainability of fisheries is essential to the livelihoods of billions of people in coastal communities around the world, especially in developing countries, where 97% of fishers live. The forum provided a policy-oriented report on options for action by countries and other stakeholders. The negotiations have now on the table a single consolidated non-attributable draft text negotiating what could be the basis for further negotiations and hopefully a comprehensive agreement to be reached before 2020. In February, Secretary-General Mukhisa Kituyi convened the Geneva Dialogue of leading international figures with a rallying cry to defend the rules-based multilateral trading system as a force for creating inclusive prosperity. The event was held against the background of anxiety about protectionism and trade wars. If the multilateral trading system stalls, the fear is, the development aspirations of poorer and smaller countries will be scuppered. Valerie Amos, Director of SOAS, University of London, and a former UN Under-Secretary-General for Humanitarian Affairs said there was an opportunity for countries to fill the power vacuum on the international stage left by the United States. The meeting addressed lack of consensus at the 11th Ministerial Conference of the World Trade Organization (WTO) in Buenos Aires in 2017, the lack of clarity in the trade settlement between the European Union and the United Kingdom ahead of Brexit and other shadows cast across the multilateral trading system that risk affecting the development agenda. Pascal Lamy of the Jacques Delors Institute and a former director general of the WTO said the view of the multilateral trading system as a win-win scenario favoured by the United States in the past had been replaced with the view that it was a zero-sum game. Anabel Gonzalez, a former trade minister of Costa Rica and senior World Bank official, said “repositioning” by the United States on trade, and technological change were shocks to the system. But, Ms. Gonzalez said, there was also “positive energy” coming from some quarters, such as China’s One Belt One Road Initiative, continued interest in the Trans-Pacific Partnership, and the African Continental Free Trade Agreement. Kenyan journalist Jeff Koinange moderated the discussion. The stories of women who trade small goods across borders in Malawi, the United Republic of Tanzania and Zambia, often by unofficial and dangerous routes to avoid cumbersome and costly customs crossings, came to life in Geneva at a photography exhibit and video screening, called Borderline: Women in cross-border trade, marking International Women’s Week, in March. UNCTAD experts traveled to border regions in Africa to hear dozens of stories from women traders. The photographic and video record of this research formed the basis of the “Borderline” project and showed women traders at their market stalls selling a variety of goods from second-hand clothes to fruit and flowers to beans and groundnuts. Markets visited included those in Chipata, Zambia, and Mchinji, Malawi. More than 100 guests attended the opening ceremony at the exhibit, on show at the United Nations in Geneva as part of a week of United Nations’ events highlighting aspects of women’s equality and empowerment. The Trade and Development Report 2018: Power, Platforms and the Free Trade Delusion extended the narrative of a “global new deal” as a framework to address the multi-dimensional problems of inequality, exclusion, instability, and the fragility of the global economy in relation to the international trading system, the emerging digital economy and the problem of linking infrastructure to structural transformation. The report proposed concrete ways for developing countries to address these issues, and in particular, some innovative ways of dealing with problems of asymmetric power of large digital firms. The importance of policy space for building the digital economy in developing countries, and of devising national digital regulatory policies has been highlighted. The report contributed to policymakers’ improved understanding of the global economic environment and policy choices for inclusive and sustained development. Ministers and, in some cases, Heads-of-Government discussed the report, for example in Ethiopia, India, Malaysia and South Africa, and it has also resulted in concrete policy changes in some of these countries. The result demonstrates progress made in 2018 towards the collective attainment of the objective of enhancing economic policies and strategies at the global, regional and national levels for sustained growth and inclusive and sustainable economic development of developing countries. As such, it also improves the likelihood of developing countries achieving the 2030 Agenda. We helped developing countries to put in place new institutions and infrastructure to ease international trade, such as in Africa at the Forum for National Trade Facilitation Committees in Ethiopia in November. Smoothing the way for African trade is critical if the continent is to tackle the challenges posed by fast-shifting patterns of global commerce, UNCTAD Secretary-General Mukhisa Kituyi said at the opening the forum. The forum, which took place at the UN Economic Commission for Africa, is part of efforts to implement the World Trade Organization’s Trade Facilitation Agreement, which entered into force in February 2017 and could help drive down the cost of commerce. It also comes amid new momentum provided by the African Continental Free Trade Agreement, a landmark for regional integration that was signed in March 2018. The forum is the first of events globally to support the implementation of the WTO’s agreement, which besides measures to boost trade also addresses improved revenue collection, safety and security compliance controls, including for food, and streamlining government agencies. The reforms aim to help small cross-border traders, often women, enter the formal sector, make economic activities more transparent and accountable, promote good governance, generate better quality employment, strengthen information technology capabilities and generally modernize societies by bringing about benefits related to administrative efficiency. The biennial UNCTAD World Investment Forum in October brought together 6,000 political and business influencers to address financing the Sustainable Development Goals. Swiss president Alain Berset formally opened the forum in the company of heads of State and Government, United Nations officials, private sector leaders and investment stakeholders in the Palais des Nations, Geneva, Switzerland. Private sector investment in developing countries, totaling $3.9 trillion a year, is needed to generate economic activity to meet the Sustainable Development Goals – the core of the 2030 Agenda – according to UNCTAD research. Current levels leave an investment gap of some $2.5 trillion. Besides giving participants a chance to spotlight priorities for attracting and channeling investment that will drive sustainable development, the forum focused on transformative actions and innovative financing modes for development, such as blockchain, sustainability bonds and blended finance. Speakers from business and special guests included more than 30 top executives of multinationals, among them Aviva, De Beers, Coca Cola, ContourGlobal, Jumia, Lavazza, PwC, Siemens Financial Services, and UBS, and the heads of the Bombay, Johannesburg, Luxembourg, Nasdaq Nordic, SIX and Shenzen stock exchanges, as well as the leaders of sovereign wealth and pension funds. Leasers from Armenia, Bangladesh, Botswana, Cambodia, the Central African Republic, Kenya, Lesotho, the Former Yugoslav Republic of Macedonia, Malawi, Mongolia, Montenegro, Namibia, and Sierra Leone attended the forum. UNCTAD's eCommerce Week in Geneva in April 2018 gathered ministers, senior government officials, business representatives, international organizations, development banks, academics and civil society to discuss the development opportunities and challenges associated with the evolving digital economy. Under the theme of the Development Dimensions of Digital Platforms, the event explored the growing role of digital platforms and taking the concrete steps to harness these evolving technologies for sustainable development. Highlights included a High-level Dialogue on the Development Dimension of Digital Platforms, two Ministerial Roundtables, the Intergovernmental Group of Experts on E-commerce and the Digital Economy, and sessions organized by the eTrade for all partners. Following the success of the Geneva event, we organized the first regional edition of eCommerce Week in Africa in December. Africa’s next steps on the path to engaging in and benefitting from e-commerce were outlined by UNCTAD in its Nairobi Manifesto on the Digital Economy and Inclusive Development in Africa, issued at the end of the event in the Kenyan capital. The UNCTAD World Investment Forum 2018, which took place in Geneva, Switzerland, in October, thrashed out investment-led solutions to sustainable development challenges. The forum sought to foster global partnerships to advance the 2030 Agenda for Sustainable Development and yielded a package of outcomes, relevant to the development agenda and within the ambit of UNCTAD work in the area of investment and enterprise for development. The forum featured several high-profile events including an investment summit, a global Sustainable Stock Exchanges dialogue, a conference on investment agreements, thematic discussions and dozens of other events. Marking its 10th anniversary in 2018, the forum gathered around 6,000 investment-development stakeholders from 186 countries, bringing together 11 Heads of State and Government, and more than 50 ministers and 70 parliamentarians. Around 2,000 private sector participants were present, including executives of global companies, stock exchanges and investment funds. The 2030 Agenda for Sustainable Development, adopted by the international community in 2015, is a global plan of action for people, planet and prosperity. At its core are 17 interlocking Sustainable Development Goals. Delivering on this transformative agenda demands an entirely new level of international partnership. 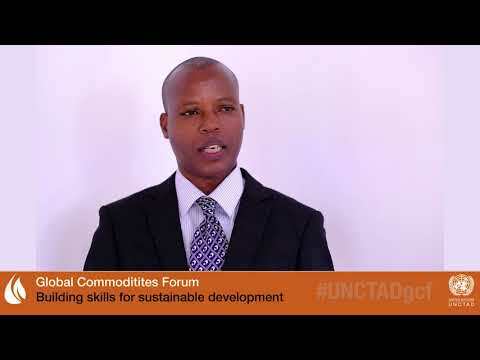 With more than fifty years of expertise and experience in trade and development, UNCTAD is playing its part. We work most of all on the four goals that are in focus in this report: Goal 17, Goal 10, Goal 9 and Goal 8. Given UNCTAD's mission of "prosperity for all," Goal 12, Goal 14, Goal 15 and Goal 16 are also featured as areas where we made important contributions in 2018. We support the achievement of all 19 targets under Goal 17 by taking a leading role in the inter-agency dialogue on “the means for implementation” – the hard task of working out exactly how countries can fulfill their commitment to the 2030 Agenda for Sustainable Development. This work complements our role as a significant institutional stakeholder of the financing for development process, which was recognized and strengthened by the Addis Ababa Action Agenda, a plan devised by the international community in 2015 to find ways to pay for the 2030 Agenda and make good on longstanding financing commitments. The international community gave us a mandate in 2016, the Nairobi Maafikiano, that reflects these priorities. 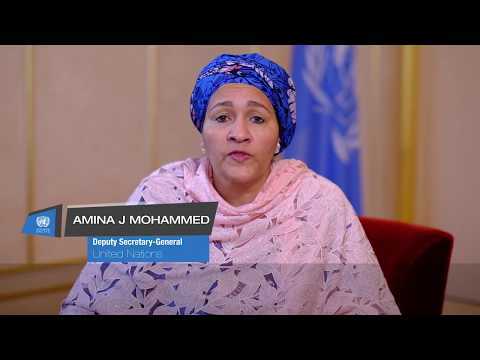 The mandate asks us to contribute to “the effective implementation of and follow-up to the 2030 Agenda for Sustainable Development and relevant outcomes from global conferences and summits, as related to trade and development” and help countries meet the finance, technology, capacity building, trade and systemic targets of Goal 17. Target 18 of Goal 17 calls for enhanced capacity-building support to developing countries to increase significantly the availability of high-quality, timely and reliable data about populations that are disaggregated by, among other things, migratory status. In 2018, we helped countries in Africa to understand migration patterns and proposed policies to deal with this under-analyzed factor in their trade and development plans. In this context, our research on remittances – the money migrants send home – also contributed to Target 3 of Goal 17 on mobilizing financial resources for developing countries from multiple sources. In 2018, we worked in support of the preparation and negotiation of the Global Compact for Migration (GCM), signed during the Intergovernmental Conference to Adopt the Global Compact for Safe, Orderly and Regular Migration, in Morocco in December. The GCM is the first-ever global agreement on a common approach towards international migration in all its dimensions, and our work aimed to help countries optimize the overall benefits of migration for inclusive trade, development and the achievement of the Agenda 2030. In May we launched our Economic Development in Africa Report 2018: Migration for Structural Transformation to provide timely guidance on the various economic and trade-related dimensions of intra-African migration. The report served as a critical input for the international community in defining an African position in the GCM. In the run-up to GCM adoption, we hosted a high-level informal dialogue on African migration at the African Union Commission in Addis Ababa, Ethiopia, with AU commissioners and the Moroccan ambassador, and organized a High-Level Panel on Migration and Structural Transformation in Africa at the United Nations in New York. The panel, held during the 73rd United Nations General Assembly, provided a platform to raise awareness and discuss how to maximize the economic and developmental impacts of migration in Africa. 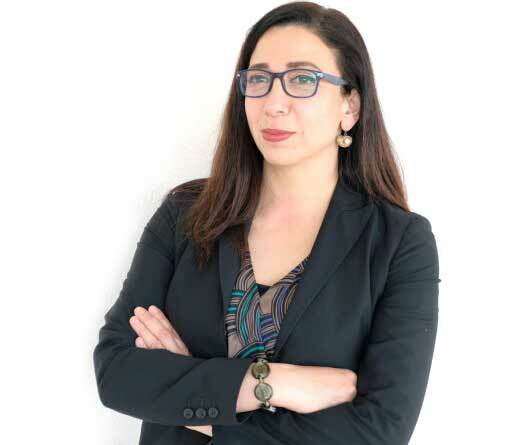 The discussion featured UN General Assembly president María Fernanda Espinosa Garcés, Federica Mogherini, the EU’s high representative for foreign affairs, and the foreign ministers of co-organizers Morocco and Rwanda. Our work on migration in Africa in 2018 also contributed to Target 8 of Goal 8 on protecting labour rights and promoting safe and secure working environments for migrant workers, Target 7 of Goal 10 on facilitating orderly, safe regular and responsible migration (in line with the GCM), and Target 2 of Goal 16 on ending human trafficking. In June, UNCTAD published a compendium of policy options for Least Developed Countries to achieve the 2030 Agenda for Sustainable Development, which comprises several goals which explicitly refer to income growth, employment creation, and industrialization. The achievement of the Goals depends on progress made on the economic front and “strengthening the means of implementation” under Goal 17. UNCTAD Secretary-General Mukhisa Kituyi and UN Deputy Secretary-General Amina J. Mohammed launched the action-oriented, user-friendly and visually-enhanced publication for policymakers in LDCs. In 2018, we supported the Group of Landlocked Developing Countries (LLDCs) by organizing, together with UN economic commissions for Asia and the Pacific, and Europe, a regional expert group meeting on the Midterm Review of the Midterm Review of the Vienna Programme of Action for the LLDCs for the Decade 2014–2024, to be held in 2019. In December, together with the UN Office of the High Representative for the Least Developed Countries, Landlocked Developing Countries and Small Island Developing States, we organized a meeting to support LLDC ambassadors in New York preparing for the midterm review. In 2018 we continued to assist LLDCs to diversify their exports and transform the structure of their economies by, for example, preparing a study on export diversification in four Asian commodity-dependent LLDCs: Bhutan, Kazakhstan, Mongolia, and Turkmenistan. 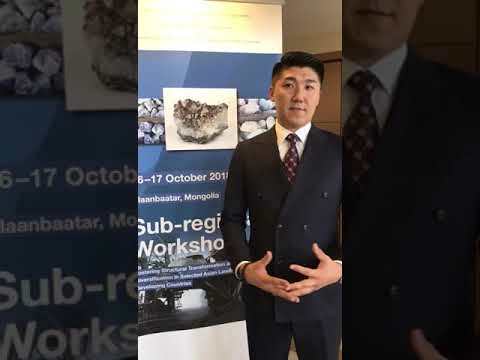 We shared the findings with policymakers at a sub-regional meeting co-organized with the International Think Tank for Landlocked Developing Countries in Ulaanbaatar, Mongolia, in October. The UNCTAD World Investment Forum in October 2018 provided an opportunity to convey and disseminate UNCTAD’s suite of policy frameworks to more than 6,000 people from the global investment community. Nearly a third of the participants came from the private sector while the presence of 11 heads of state and government, 55 ministers, 70 parliamentarians and dozens of thought-leaders, influencers and special guests fortified the meeting. The week-long forum, comprised of more than 70 sessions organized with over 50 partners, focused dialogue on how the world can use investment to achieve sustainable development, specifically Targets 3 and 15 of Goal 17. UNCTAD’s comprehensive foreign direct investment (FDI) data and statistical analysis provide developing countries with an accurate statistical snapshot upon which to base their sustainable development-oriented policies. In 2018, we published two Global Investment Trends Monitors – including a widely publicized special edition on the topical issue of tax reforms in the United States. The quality and usability of the data and analysis in these reports generates an average of 450 press articles each edition. Hard data is complemented by programmes that provide a range of advisory services and technical assistance to help countries mainstream sustainable development investment policymaking at the national and international levels. 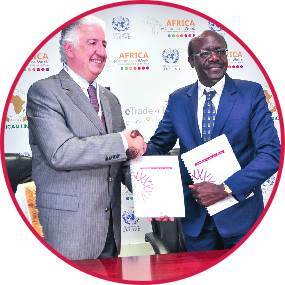 UNCTAD supports the reform of the multi-layered and fragmented international investment agreement (IIA) regime and its convergence with sustainable development objectives by monitoring trends, identifying key emerging issues and strengthening the capacity of beneficiary countries to handling IIA complexities. In 2018, we published three issues notes on recent developments in the overall regime, while another focused on investor-state dispute settlement, and specifically intra-European arbitration cases. The 2018 High-Level IIA Conference, which took place during the World Investment Forum in October, gathered investment policy stakeholders to discuss IIA reform and coherence and provided the opportunity to launch an updated version of UNCTAD’s Reform Package for the International Investment Regime. Some 150 countries have designed or redesigned their investment laws and treaty clauses using these policy tools to date. We support the strategies and programmes of countries – Least Developed Countries (LDCs) in particular – to promote investment into areas where the need is greatest, reducing “inequality within and among nations” (Goal 10) by providing extensive advisory services, including capacity-building workshops, to investment promotion agencies and other institutions. The programme responds to Target 5 of Goal 17 to “adopt and implement investment promotion regimes” for LDCs. In May, the programme held its third Regional Seminar on the Promotion of Bankable Sustainable Development Goal Projects in Bangkok, Thailand, focusing on assisting investment promotion agencies in Asia. At the World Investment Forum in October, we organized a workshop with the World Association of Investment Promotion Agencies to provide guidance on how to better target and facilitate investment in sustainable development projects, while attendees of an Investment Promotion Conference explored ways in which bankable projects can be prepared, promoted and financed. We also hosted the annual Investment Promotion Awards at the World Investment Forum to recognize best-in-class agencies in their efforts to promote investment in sustainable development. Bahrain, India, Lesotho and South Africa were among the winners. Trade in biodiversity – known as BioTrade – can generate a variety of socio-economic benefits for communities that collect, hunt or farm unique plants and animals in sustainable ways. The SECO-funded Global BioTrade Programme: Linking trade, environment and sustainable development focuses on building partnerships in providing stakeholders with the ability to seize and capitalize on trade opportunities from linking biodiversity and sustainable development. This work links the trade-related targets of Goal 17 with the nature-related targets of Goals 13 (climate change), 14 (life under water) and 15 (life on land). In 2018, we worked closely with the secretariats of the Convention on International Trade in Endangered Species of Wild Fauna and Flora (CITES) and the Convention on Biological Diversity (CBD), International Trade Centre (ITC), the Development Bank of Latin America, Helvetas, Swiss Import Promotion Programme (SIPPO), the ABS Capacity Development Initiative, PhytoTrade Africa, Union for Ethical BioTrade, and BioTrade focal points in the Andean, Mekong and Southern African sub-regions, among others. UNCTAD’s sustainable agriculture programme leverages our expertise in non-tariff measures, voluntary sustainability standards, the trade-agriculture-gender nexus, biofuels and renewable energy, and pro-poor structural rural diversification through trade. It encompasses a scaling-up process to deliver multiplier effects on a larger scale, contributing to Goal 17 by mobilizing the synergy of the expertise from within UNCTAD, and in such partners as UN economic commissions, ITC and the Food and Agriculture Organization of the United Nations. The link between rising prosperity and market competitiveness is well established, and we work with developing countries to help them ensure that commercial playing fields are level. Contesting market openness and elevating standards is likewise enabled by effective consumer protection regimes. This work contributes to economic growth as envisioned by Goal 8, but also to the strengthening of systems, partnerships and means of delivery seen in Goal 17. In 2018, we participated in discussions with senior government officials for the launch of a new competition authority in Cape Verde and conducted training workshops for the staff of the Fair Competition Commissions of both mainland Tanzania and Zanzibar. We also enhanced cooperation with the UN Economic Commission for Europe and the UN Industrial Development Organization to provide technical assistance and capacity building programmes on consumer protection for the Economic Community of West African States. The principle that online consumers should enjoy a level of protection equivalent to offline consumers, enshrined in the United Nations Guidelines for Consumer Protection, was explored by global experts at meetings in July and December in Geneva. Partners in our consumer protection work in 2018 included the Organisation for Economic Co-operation and Development, the International Consumer Protection Enforcement Network, the European Commission – working on product safety – and explored joint work opportunities with the International Standards Organization and the Organization of American States. In the field of competition law, UNCTAD partnered with the UN Economic and Social Commission for West Asia, headquartered in Beirut, Lebanon, and its counterpart for Africa in Addis Ababa, Ethiopia, and continued our engagement with the World Bank Group. In November, together with Egypt’s Competition Authority, we opened a Regional Training Centre for Competition in Cairo. The centre held its first set of training courses on international competition law and compliance before the end of the year. In June, UNCTAD Secretary-General Mukhisa Kituyi told Latin American consumer protection and competition agencies meeting in Santo Domingo that the best way to shield people and markets from possible abuses of power by digital giants, such as Facebook and Amazon, was to band together. The agencies were in the Dominican capital for the annual conference of COMPAL, an UNCTAD programme funded by the Swiss government that works with 17 countries in the region to help strengthen consumer protection and competition policies. As part of our work in 2018 to help Least Developed Countries (LDCs) double their share of global exports by 2020 as specified by Target 11 of Goal 17, we conducted case-studies for Cambodia, Nepal, Senegal and Zambia on the World Trade Organization’s waiver for LDCs to promote their services exports through preferential treatment, and organized a workshop in March. In October, we also held our first Commercial Diplomacy Training Workshop in Luanda, Angola, as part of our Train for Trade II project under the Joint European Union-UNCTAD Program of Support for Angola, with a focus on Angola’s regional trade integration. We expanded our technical assistance for regional integration to Arab countries under the Pan-Arabic Free Trade Area (PAFTA) and the future Arab Customs Union by contributing substantive expertise to the joint training programme of League of Arab States and UN Development Programme Regional Office of Arab States. The informal thematic consultation “South-South Cooperation for Implementation of the 2030 Agenda for Sustainable Development: A Trade and Development Perspective” held in November underlined the growing importance of South-South trade cooperation to meet development objectives. Our work for 20 countries on their accession to the World Trade Organization, including LDCs currently negotiating or preparing their accession process as well as to states in post-accession phase, continued apace in 2018. In November, we undertook an advisory mission to Uzbekistan to assist the government in the next phase of its WTO accession negotiations. These activities contributed to Target 10 of Goal 17 to “promote a universal, rules-based, open, non-discriminatory and equitable multilateral trading system under the World Trade Organization” and other economic integration and growth objectives. The UNCTAD Technology and Innovation Report 2018 presented new thinking about how global partnerships can ensure that frontier technologies hasten the achievement of the 2030 Agenda for Sustainable Development and not widen gaps between and within countries. The analysis informed our policy-oriented work presented at such forums in 2018 as the UN’s Inter-Agency Task Force report on Financing for Development, a paper for the UN’s High-Level Committee on Programmes on Artificial Intelligence and a dedicated report for the G77 group of developing countries. 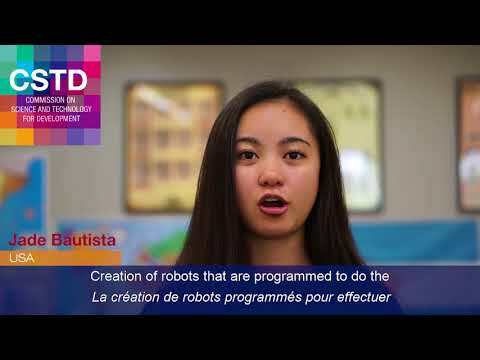 UNCTAD’s role as the secretariat of the UN Commission on Science and Technology for Development (CSTD), which meets each May, means it plays an essential role in many UN processes dealing with the technological future of our world. The fast development of the digital economy and the shift towards online economic activities has transformational impacts on production, consumption and trade patterns. However, since the speed of digital transformations differs, and given significant digital divides, developing countries face both opportunities and risks. The impacts depend on the readiness of countries, enterprises and people to take advantage of digitalization as well as on the regulatory frameworks for the digital economy. 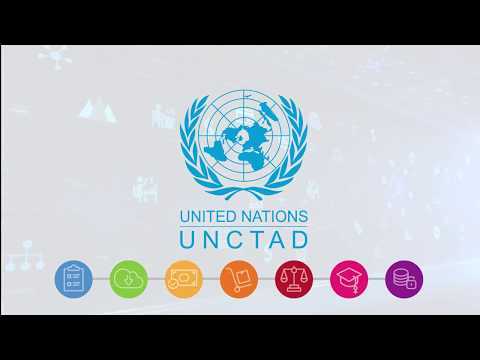 Against this background, 14 visionary partners came together during UNCTAD’s 14th Ministerial Conference in Nairobi in 2016 to launch the eTrade for all initiative as a concrete example of how the international community, in partnership with the private sector and other stakeholders can join forces to help ensure that no one is left behind in e-commerce and the digital economy. In 2018, the eTrade for all community reached 30 members – with the Consumer Unity & Trust Society (CUTS) as its newest member – all committed to narrowing the digital gaps between and within developed and developing countries alike. Its online platform, etradeforall.org, is used by almost 20,000 visitors, of which 40% from developing countries. It offers a gateway for those in need of technical assistance to find those who will be able to assist them. The eTrade for all initiative has been of tremendous value for the successful organization of the global eCommerce Week which has become the leading global forum where public and private stakeholders, as well as civil society, can engage in a conversation about the development implications of the digital economy. In 2018, the 4th e-Commerce Week (on “Development Dimensions of Digital Platforms”) attracted almost 1,200 registered participants from 113 countries – including 26 Least Developed Countries – contributing to more than 60 sessions. We organized the event in concert with the second session of the Intergovernmental Group of Experts on e-Commerce and the Digital Economy, which was attended by 103 countries, including 23 Least Developed Countries and 182 private sector companies. The extensive and growing recognition of eCommerce Week prompted UNCTAD to partner with the African Union, the European Union and eTrade for all partners to organize the first eCommerce Week in Africa (on "Empowering African Economies in the Digital Era") and hosted by the government of Kenya in December 2018. More than 2,000 participants from 60 countries registered for the event, which was addressed by Kenyan President Uhuru Kenyatta, European Commission Vice-President Andrus Ansip, several heads of international organizations as well as chief executive officers. Participants included some 800 government officials, 700 business representatives, and more than 250 members of civil society, young people and academia. measuring e-commerce and the digital economy. In the run-up to Africa eCommerce Week, UNCTAD Secretary-General Mukhisa Kituyi launched the UNCTAD Dialogue on African Development and the Digital Economy, which saw contributions by nine thought leaders on how to ensure that digitalization brings inclusive development to Africa rather than widening divides. 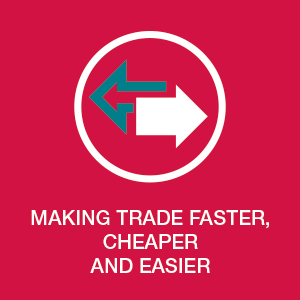 Long waiting times at borders, inappropriate fees, cumbersome formalities, and inadequate or unclear rules and regulations, can all become severe obstacles to trade, and adversely affect investment, employment and trade-led development. However, we assist developing countries in identifying their particular trade facilitation needs and priorities and help them programme the implementation of specific improvements. In 2018, our work in support of national trade facilitation committees (NTFCs) continued with the delivery of national training workshops throughout the year and concluded by holding the First African Forum for NTFCs in Addis Ababa, Ethiopia, in November. Since the launch of our Empowerment Programme for National Trade Facilitation Committees in 2016, UNCTAD has been providing extensive support to the NTFCs of 22 countries and is planning to do so at least another 13 states. Our work reached more than 1,800 trade facilitation stakeholders (one-third of them women), and surveys revealed that 93% of beneficiaries said that the programme had helped them improve their knowledge of trade facilitation and 82% of them felt in a better position to assume their roles as members of their national trade facilitation committee. In 2018, we contributed to collaborative initiatives for the effective implementation of international agreements and outcomes in the field of transport, infrastructure and logistics, highlighting in particular our recent work on climate change impacts and adaptation for transport infrastructure, notably a project on Climate change impacts and adaptation for key coastal transport infrastructure in the Caribbean. This work ties the climate change action aims of Goal 13 and the trade-boosting and partnership objectives of Goal 17. This project benefited from extensive interdisciplinary and interagency cooperation, including with UN Economic Commission for Latin America and the Caribbean, UN Development Programme, UN Environment, the Caribbean Community Climate Change Centre, the Organisation of Eastern Caribbean States, as well as the European Commission Joint Research Centre (Ispra, Italy) and international and regional experts. We co-organized and contributed to events on sustainable transport, international shipping, climate resilience and sustainability, and ocean-related issues, organized in the context of the 24th session of the Conference of the Parties to the United Nations Framework Convention on Climate Change (COP 24), in Katowice, Poland. with the Islamic Development Bank for commercializing and managing the Trans-Saharan Road Corridor linking Algeria, Chad, Mali, Niger, Nigeria and Tunisia. with the Korea Maritime Institute setting the collaboration framework for the development of a Port Service Quality Indicator. with Natural Resources Canada to share information and develop capacity building projects that promote energy efficiency in the transport of goods and people in developing countries. In 2018 all UN agencies with a transport mandate nominated UNCTAD to represent them at deliberations under the global Sustainable Mobility For All (SuM4All) Initiative cementing our role as a global key player in sustainable transport and development. An integral part of every TrainForTrade project is its online learning platform adapted for each course. It provides a forum where international and regional stakeholders can interact and remain engaged even after the end of the project cycle. In 2018, we worked with the UN Economic Commission for Europe and the UN Economic Commission for Western Asia, in addition to several permanent missions in Geneva, government agencies, and academic institutions. For instance, we supported the University of Belgrade to deliver the 39th regional course for Eastern Europe and the 40th regional course for Arab economies with the Institute of Diplomatic Studies. A similar model for partnerships underpins other regional courses in Africa, Latin American and the Caribbean and Asia and the Pacific. These partnerships help enable government officials to forge and implement policies for economic growth and sustainable development. As a custodian of several statistical indicators attached to the Sustainable Development Goals, our world-leading statistical section continued to provide information to benchmark progress on 2030 Agenda targets and worked to develop new concepts for indicators where frameworks do not yet exist. Our trade Sustainable Development Goal indicators are compiled in cooperation with the World Trade Organization and the International Trade Centre and address essential elements of Goal 17 dealing with fair and equitable trade. Throughout 2018, we worked to make our statistics more accessible and user-friendly, including by revamping our annual statistical handbook and launching an interactive e-handbook. We also made infographics and data visualization/exploration tools available to more people. This work helps build a solid statistical basis on which policymakers in developing countries can adopt appropriate policies necessary for the attainment of the 2030 Agenda for Sustainable Development. 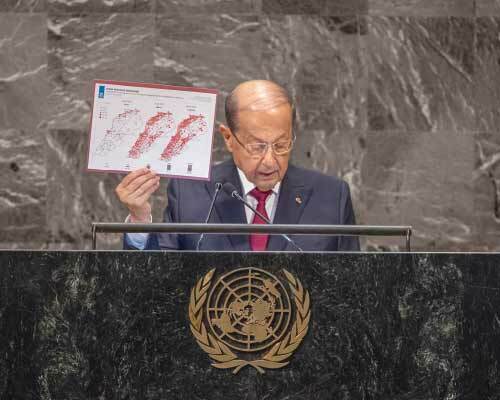 It helps meet the Target 19 of Goal 17, the final target of the agenda, to “develop measurements of progress on sustainable development that complement gross domestic product, and support statistical capacity-building in developing countries” by 2030. Goal 10 aspires to reduce inequality between groups of people and between countries so that prosperity is shared equally among us all. This has been UNCTAD’s guiding principle since it was established in 1964. In everything we do, we work for “universal social, economic and political inclusion” as envisaged by Target 2 of Goal 10. We do this for developing countries by making policy recommendations based on cutting-edge analysis, implementing technical assistance programmes on the ground and providing a consensus-building forum for national representatives to learn from each other and form partnerships. 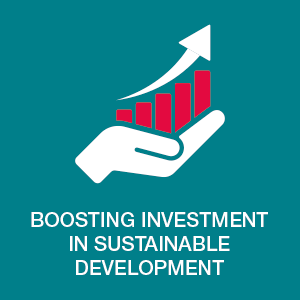 We contribute to these objectives through all of our activities, notably including helping implement Target A of Goal 10 on special and differential treatment for developing countries in the global trading system, but also through strengthening the enabling environment by encouraging foreign direct investment to States where the need is greatest, as specified by Target B of Goal 10. Our mandate, the Nairobi Maafikiano, tasks us with a range of work in the areas of trade, investment, finance, and technology under Goal 10. This chapter looks at what was done in 2018 to fulfill both our mandate and assist countries in their efforts to meet it. We assist the 47 most-disadvantaged countries – from Afghanistan to Zambia – classified as Least Developed Countries (LDCs) to achieve economic and social progress, graduate from this category and reduce inequality between countries. In April 2018, UNCTAD delivered a course called “Assessing the Progress of LDCs towards the Sustainable Development Goals” to 53 officials from Least Developed Countries, which also included training on LDC graduation. 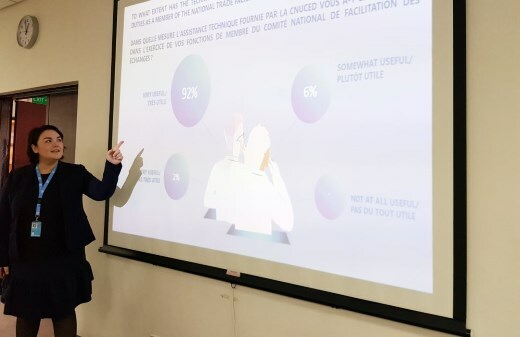 Participants became better aware of the topic and more equipped to take the policy measures needed to smooth the path toward graduation – which can, while beneficial in the long run, result in the loss of preferential trade and assistance terms with other countries. Four Least Developed Countries – Bhutan, Kiribati, São Tomé and Principe and Solomon Islands – were recommended for graduation by the United Nations Committee for Development Policy (CDP) in 2018 thanks to increasing national earning power as well as access to better health care and education. The CDP sends its recommendations to the UN Economic and Social Council for endorsement, which then refers its decision to the UN General Assembly. Vanuatu and Angola are currently scheduled for graduation in 2020 and 2021 respectively. While LDCs have many challenges in common, UNCTAD underlines that there is no single recipe for success, with governments needing to take a pragmatic approach that involves a combination of policy measures tailored to national conditions. In 2018, we released a compendium, Achieving the Sustainable Development Goals in the Least Developed Countries (LDCs), that synthesizes nearly 15 years of UNCTAD research and policy options in a single resource that links potential development objectives with concrete steps and practical actions to achieve specific targets of the 2030 Agenda. The 2018 report, dedicated to investment and new industrial policy, reported that 100 countries had adopted industrial development strategies in recent years in response to the opportunities and challenges of the new industrial revolution. The report presented options for investment policy tools in this new environment. The 2018 report was downloaded more than 250,000 times in 202 countries and territories and was cited in more than 1,800 news articles and 4,000 academic papers. Launched in 2009, the Sustainable Stock Exchanges Initiative (SSE) aligns capital market signals with public policy goals for sustainable development. The SSE promotes responsible investment in sustainable development and advances corporate performance on environmental, social and governance (ESG) issues through research, consensus-building and technical assistance. By 2018, membership of the programme had grown to 94 stock exchanges – representing $88 trillion in market capitalization from over 52,000 listed companies – significantly enhancing the initiative’s ability to advance the 2030 Agenda. In 2018, SSE’s flagship biennial event – the SSE Global Dialogue – brought together a unique global gathering of market leaders at the World Investment Forum in October to analyze, promote and foster communication of stock exchanges’ sustainability initiatives. We launched a handbook on How Securities Regulators Can Support the Sustainable Development Goals – as well as a global ranking to rate capital markets’ transparency on ESG – at the event which we held in partnership with the World Federation of Exchanges. In July, we launched a Spanish-language Action Plan on Green Finance in Latin America in partnership with Mexican and Argentinian stock exchanges at an event to coincide with the G20 meetings in Buenos Aires. UNCTAD’s programme on trade-led sustainable agriculture contributes to the equitable world foreseen in Goal 10 by targeting vulnerable groups that work the land in developing countries, especially women. It also contributes to food security targets in Goal 2 on ending hunger and other farming-linked objectives of the 2030 Agenda. The 2017–2019 programme operates in Guatemala, Malawi and Vanuatu and leverages UNCTAD expertise in non-tariff measures, voluntary sustainability standards, the trade-agriculture-gender nexus, biofuels and renewable energy, and pro-poor structural rural diversification through trade. The programme aims to integrate vulnerable groups dependent on agriculture into global value chains, leading to new commercialization and diversification opportunities. Meanwhile, our extensive work in 2018 on the trade, services and the economic effects of intra-African and other migration flows contributed to the preparation and consultations for the Global Compact for Safe, Regular and Orderly Migration adopted in December in Marrakech, Morocco. This work helps countries to meet Target 2 of Goal 10 to empower and promote the social, economic and political inclusion of all by 2030 – irrespective of race, ethnicity, or origin. The inclusive and equitable objectives of Goal 10 encompass our work to protect and empower consumers and in particular vulnerable and disadvantaged consumers. Discussion topics at the 2018 session of the Intergovernmental Group of Experts on Consumer Protection in July included consumer product safety which, while essential for the health and wellbeing of consumers, can often be prohibitively costly in both developing and developed countries. We created a working group to enable participants to share knowledge on accountability and transparency, stakeholder engagement in policymaking, international cooperation and coordinated actions on consumer product safety. Useful consumer protection frameworks require dispute resolution and redress, as specified in the UN Guidelines for Consumer Protection, so developing and developed countries are exploring, with the support of UNCTAD, alternative dispute resolution mechanisms to make it easier for consumers to get access to justice, especially in the context of the worldwide rise of e-commerce. 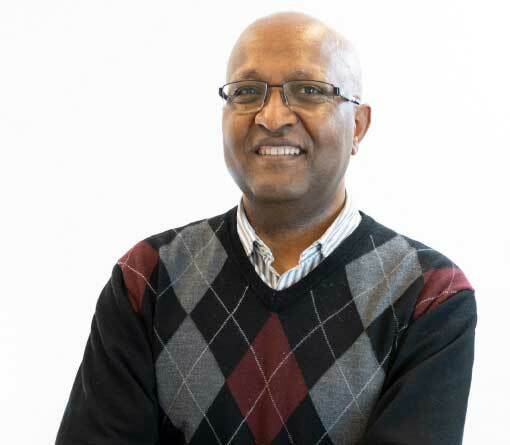 As well as this work contributing to Goal 10, keynote speaker Sothi Rachagan, a scholar from the Nilai University of Malaysia, connected consumer empowerment to Goal 16 on peace, justice and effective, accountable and inclusive institutions. UNCTAD’s consumer empowerment work also covers financial literacy and inclusion, the role of financial regulators and consumer protection agencies, responsible business conduct, the security of online and mobile payments, and complaints handling and consumer redress. In 2018, we presented our expertise on these issues at events in India in March (Financial Consumer Protection in the Digital Market Place) and the Russian Federation in September (International Conference on Best Practices for Financial Consumer Protection: Regulation and Cooperation in the Digital Economy), and other forums. Ahead of the 2018 session of the UN Committee on Science, Technology and Innovation for Development in May, UNCTAD prepared an issues paper on how rapid technological change exacerbates or mitigates inequality between and within countries, in line with the objectives on Goal 10. The paper included analysis of how the potential impacts on inequality differ among technological eras, are mutually influenced by the convergence of digitally-enabled technologies and are mediated by rates of technological diffusion. The paper also how rapid technological change could alter trade and investment patterns, ultimately reshoring globalized activities back to countries that can automate specific processes. One driver of technology inequality is a skills gap. In 2018, our TrainForTrade Development Account project on Leapfrogging skills development in e-Commerce in South-East Asia addressed this by undertaking a needs assessment mission to the Philippines, Indonesia and Singapore, with representatives from the UN Economic and Social Commission for Asia and the Pacific and UN Commission on International Trade Law, in July. In Geneva in September, we held a session to define the objectives and contents of a curriculum on policymaking for digital identities, with experts from the World Bank Group, the World Economic Forum, the Republic of Estonia, Rajah & Tann Singapore LLP, Access Now, and the University of Lausanne. We plan to deliver the training package to the Association of Southeast Asian Nations in 2019. A functioning and resilient infrastructure is the foundation of every thriving community, while industrialization remains a priority of developing nations held back by lack of access to its benefits. With a focus on responsible, sustainable and inclusive paths to industrialization, Goal 9 includes targets that directly relate to our integrated treatment of trade, investment, finance and technology. Other Goal 9 targets call for small companies to integrate into value chains, support for industrial diversification and value addition to commodities and harnessing science, technology and innovation for development. This chapter describes the work we did in 2018 in support of Goal 9 on industry, innovation and infrastructure. We continued to assist Uganda, Zambia and Zimbabwe to get more out of their cotton crops as part of our ongoing support commodity-exporting developing countries to add value to raw materials and boost domestic earnings (Target B of Goal 9). In 2018, we helped these countries to draft profiles for attractive investment opportunities in processing, for example, surgical cotton wool, feed for chicken and fish, as well as environmentally friendly biomass briquettes and pellets – all of which are derived from different parts of the cotton plant. These commercial initiatives can create new jobs and income opportunities in the cotton sector, especially for farmers, women and entrepreneurs. Also, in 2018 we produced a groundbreaking report examining the economic, social and environmental relevance of gum Arabic, an essential but sometimes overlooked agricultural commodity, at the request of several member states in the Sahel region of Africa. 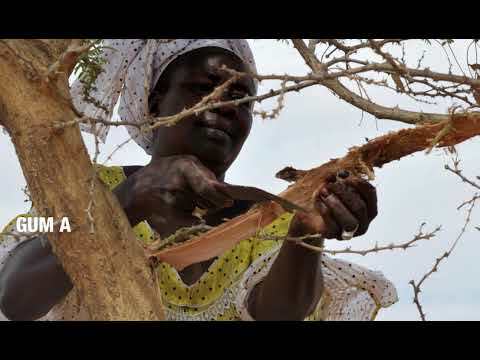 Steeped in legend and used primarily by the food industry, gum arabic has the power to drive sustainable development in the African nations that produce it, some of them the poorest countries in the world. The UNCTAD report showed that gum arabic has the potential to generate foreign exchange, promote sustainable agriculture and forestry, ensure food security and combat desertification and climate change. Following the publication of the report, the Geneva-based representatives of Chad, Côte d’Ivoire, Ethiopia, Mali, Morocco, Nigeria, Senegal, Sudan and the United Republic of Tanzania expressed support for one of its key recommendations: the creation of an association of gum arabic producing countries in Africa. Altogether, participants agreed on nine concrete proposals emanating from the presentations and discussions. To translate UNCTAD research and the outcomes of its dialogue with member states into results in the field, we prepared a project proposal for 2019–2021 on strengthening capacities to improve value added in the gum arabic sector in African economies to be funded by China’s South-South Cooperation Assistance Fund. The goal is to identify and implement coherent, evidence-based and inclusive policies aimed at getting more value from gum arabic, boosting profits for smallholder farmers, achieving gender equality in the sector, and mitigating and adapting to climate change. As well as addressing Target B of Goal 9, the gum arabic project contributes to attaining Goals 1, 5, 8, 10, 13 and 15 of the 2030 Agenda. We are helping the countries of the Southern Africa Development Community to identify regional value chains and opportunities for industrial policy coordination with the cooperation of several governments and partners at the OECD Development Centre, UN Industrial Development Organization and UN Economic Commission for Africa. The objective of the project is to support and help the implementation of the Southern Africa Development Community’s common industrial strategy, which aims at promoting the development of an integrated industrial base by exploiting regional synergies in value-added production and enhancing export competitiveness. The project entered its second phase in 2018, featuring a series of capacity building workshops for policymakers tailored to the specific needs of target economies. The first was held in Mozambique and Zambia, and similar events are set to follow in Mauritius and Tanzania. Entrepreneurs are significant agents of innovation in economically productive and managerial processes. Their innovative activity is necessary for all countries, including the Least Developed Countries (LDCs). However dynamic, innovative and growth-oriented firms are rare in the Least Developed Countries. The UNCTAD Least Developed Countries Report 2018: Entrepreneurship for Structural Transformation: Beyond Business as Usual showed that these countries’ public policies need to support and nurture such firms to strengthen innovation and bring about modernization and economic upgrading. Such structural transformation, in turn, is a precondition for these countries to meet the objectives of Goal 9 and, indeed, all Sustainable Development Goals. In 2018, we hosted on an event communications infrastructure during Africa E-Commerce Week in December which looked at boosting financial inclusion through mobile money. The event contributed to Target C of Goal 9 to “significantly increase access to information and communications technology.” It also meets Target 10 of Goal 8 to expand access to banking. Mobile money now extends far beyond its initial offering and includes mobile credit, insurance, cross-border remittances, bill payments, airtime top-ups, and savings, reflecting the expansion and diversification of the mobile money market in recent years. The session was moderated by Julie Gichuru and coordinated by the Universal Postal Union and the UN Economic Commission for Africa. Our Technology and Innovation Report 2018: Harnessing Frontier Technologies for Sustainable Development proposes strategies and actions to make technology an effective means of implementation of the common development agenda. The report suggests policies to help people navigate the transition period that lies ahead, supporting the building of digital capabilities, especially for women and girls; and ensuring that sustained international collaboration closes the multiple gaps in technological advancement that separate developed and developing countries. Our work on this goal considered efforts in several areas. We contributed to raising awareness concerning science, technology and development in high-level intergovernmental meetings such as the UN Economic and Social Council, the General Assembly, the High-Level Political Forum, and the Third Multi-stakeholder Forum on Science, Technology and Innovation for the Sustainable Development Goals, among others. The commission also examined the progress on the implementation of the World Summit on the Information Society (WSIS) outcomes. In July, the Economic and Social Council adopted the two draft recommendations agreed by the commission in May. 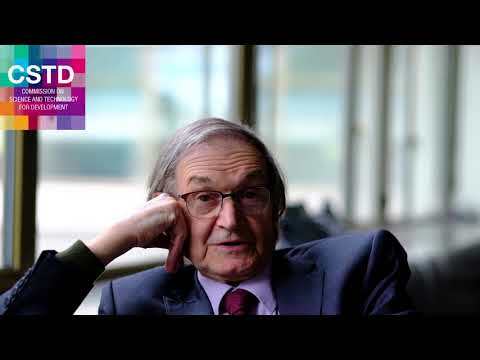 Distinguished scholars Nobel Prize-winning chemistry Professor Jacques Dubochet and mathematician Sir Roger Penrose held a dialogue on recent trends and their implications for the future of the world, stressing the need for ethics and caution in scientific innovation. Through its institutional support to the commission, UNCTAD is at the heart of multilateral and international efforts to support domestic technology development, research and innovation in developing countries as outlined by Target B of Goal 9. 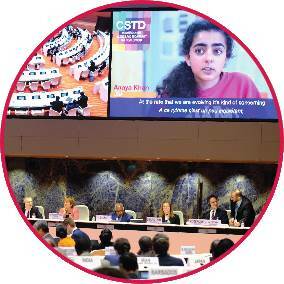 In July, participants of the Multi-year Expert Meeting on Investment, Innovation and Entrepreneurship for Productive Capacity-building and Sustainable Development, held by UNCTAD in Geneva, addressed ways to promote effective national and international policies and methodologies, closing technology gaps, and scaling up capacity-building to achieve the 2030 Agenda. The meeting considered ways to involve new actors and assimilate broader concepts of innovation systems and deploy alternative approaches to innovation, such as digitally enabled innovation and grass-roots innovation. Also, the event provided a platform for stakeholders to benefit from experiences and lessons learned from international partnerships for technological learning and development, to promote access to technologies by developing countries. Target 1 of Goal 9 calls for “quality, reliable, sustainable and resilient infrastructure, including regional and transborder infrastructure,” to support economic development and human well-being – but the impact of climate change makes this objective especially urgent for small islands that depend on ports and airports for their survival. In 2018 we completed our Climate Change Impacts and Adaptation for Coastal Transport Infrastructure in the Caribbean technical cooperation project, featuring substantive findings and outputs, including state-of-the-art flood maps, and innovative methodological approaches validated by scientific peer review. 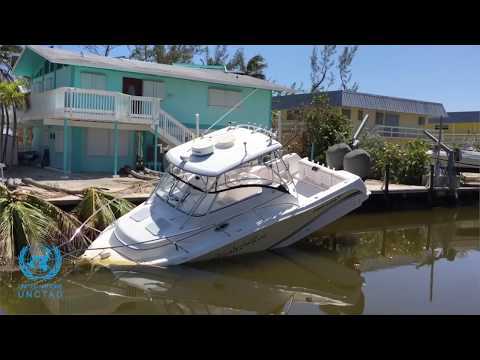 take appropriate adaptation response measures. Outcomes include assessment of potential vulnerabilities to climate variability and change in Jamaica and Saint Lucia, focusing on potential operational disruptions and marine inundation risk to coastal international airports and seaports as well as a transferable methodology to assist in adaptation planning. Some of the main substantive findings and technical details of the methodology developed under the project were presented in a scientific paper that was referred to in the Intergovernmental Panel on Climate Change’s assessment of Impacts of 1.5 ºC global warming on natural and human systems. As well as Target 1 of Goal 9, his work also contributes directly to Target 5 of Goal 1 on building the resilience of the poor and those in vulnerable situations and reduce their exposure and vulnerability to climate-related extreme events, and Goal 13 on climate change. By promoting affordable, resilient, reliable, sustainable transport infrastructure and services, UNCTAD’s work facilitates access to transport and reduces trade logistics inefficiencies that undermine trade activities including for small scale business and women traders. It also promotes new job and business opportunities, including for women. Such access is also helping reduce inequalities by creating employment and revenue, closing the poverty gap and promoting more inclusive growth. Our work on infrastructure is underpinned by the TrainForTrade Port Management Programme, which supports port communities in developing countries in their quest to manage ports efficiently and competitively. 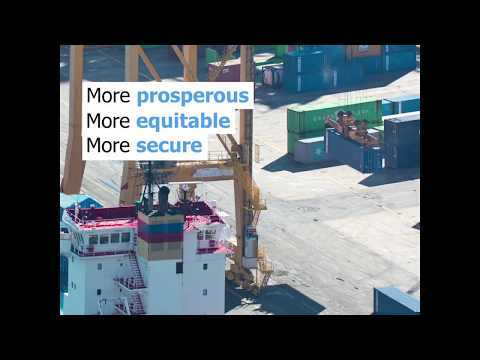 The programme creates port networks bringing together public, private and international entities to increase trade flows and foster economic development. The aim is to share knowledge and expertise between port operators and strengthen talent management and human resources development in port communities. In 2018, senior port managers from developing countries passed on their expertise to colleagues met Ireland’s President Michael D. Higgins in Dublin, Ireland, in June during a week-long Training of Trainers workshop. Mr. Higgins welcomed the managers from ports in Indonesia, Ghana, Malaysia, Nigeria, and the Philippines which are members of the English-speaking network of the Port Managers programme. Prospective members from Serbia and a former member from Namibia were also present. "As an island nation, almost uniquely dependent on international trade, we in Ireland know and value the importance of our ports, and all who work there," Mr. Higgins said during a reception at Áras an Uachtaráin, his official residence. “I am so very proud that our ports here in Ireland and Irish Aid, our overseas development assistance programme, have been participating with the English-speaking network for eleven years now, and that they have agreed to continue for four more years,” Mr. Higgins said. The objective of Goal 8 is to provide decent work and economic growth at a time when employment and growth patterns are changing. We provide innovative thinking on how developing countries can achieve Goal 8 with policies on economic diversification, technological upgrading, bolstering entrepreneurship and bringing small and medium-sized enterprises into the formal economy. 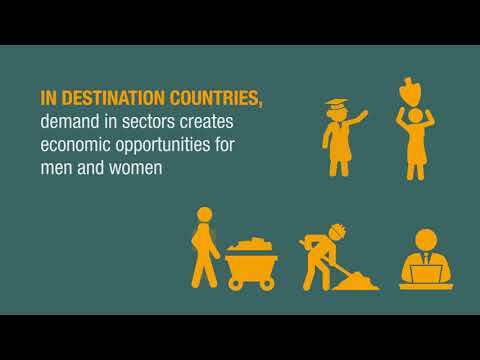 This goal covers creating jobs and protecting rights labour, including for women and young people, boosting sustainable tourism and expanding access to banking, and the objective of achieving at least 7% GDP growth a year in the Least Developed Countries. The intimate link between growth, jobs and trade lies at the heart of our work as mandated by the Nairobi Maafikiano. One key concept, pioneered by UNCTAD, is productive capacity – the productive resources, entrepreneurial capabilities and production linkages which together determine the capacity of a country to produce goods and services that enable it to grow and develop. 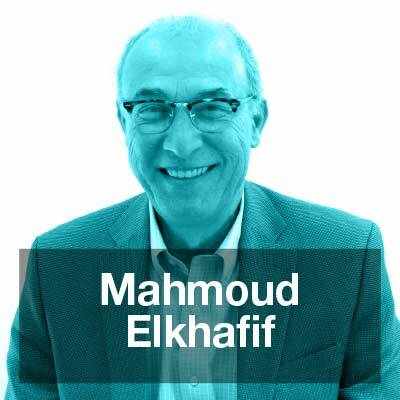 Another concept is structural transformation – the root-and-branch renewal of economic structures that put disadvantaged countries into virtuous circles of sustainable prosperity. The complex steps needed to provide decent work and economic growth form the basis of our work under Goal 8. 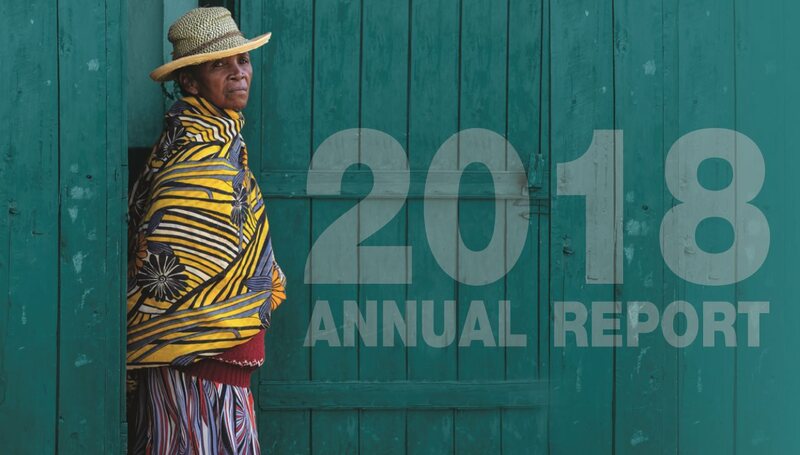 This chapter looks at some of the things we did in 2018 to help developing countries achieve this goal. In May, the Economic Development in Africa Report 2018: Migration for Structural Transformation focused on intra-African migration as a catalyst for economic growth and structural transformation. The report identifies critical actions that countries can take at national, regional and continental levels to overcome barriers to intra-African mobility. Safe and orderly migration contributes to economic growth and achieving the Agenda 2030 for Sustainable Development and Africa’s Agenda 2063. As well as Goal 8, the report will also help countries to address Goals 1, 3, 4, 5, 10, 16 and 17. 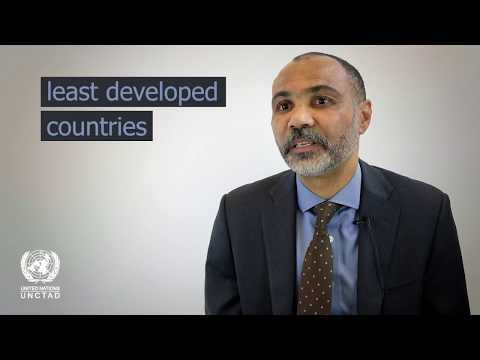 Economic growth and decent jobs are most urgently needed in the Least Developed Countries which as well as being poor have the fastest growing populations. In 2018, we published an action-oriented, user-friendly and visually-enhanced tool for the use of policymakers in LDCs and their development partners – Achieving the Sustainable Development Goals in the Least Developed Countries: A Compendium of Policy Options. The compendium presents the major policy recommendations to accelerate economic growth, job creation and structural transformation. A necessary condition for economic growth and the widespread creation of jobs in LDCs is the operation of a balanced mix of enterprises of all sizes, reported our Least Developed Countries Report 2018: Entrepreneurship for Structural Transformation: Beyond Business as Usual. Large firms have a longer lifespan and contribute longer to economic growth, but micro enterprises and small firms are responsible for more jobs LDCs. The massive creation of decent jobs, in turn, offers the only long-term solution for the LDCs to eradicate poverty as foreseen in Goal 1. The report demonstrates that active entrepreneurship policies that are coherent with development and industrial policies lead to the creation of a balanced mix of enterprises in LDCs and reaching Goal 8. In 2018, we continued our work to build the capacities of selected LDCs and landlocked developing countries to upgrade and diversify their fisheries exports. Upgrading the sector and increasing fisheries exports provides significant opportunities for developing countries to generate growth and employment, in line with Goal 8. Improved management of the fisheries sector also supports Goals 9, 12, 14, 17 and 10. We aim to upgrade the technical knowledge and expertise in Least Developed Countries to overcome challenges posed by weak supply capacities in the fishery sector and complex international food safety and quality standards on fish exports. We established two Regional Centers of Excellence for fisheries sector development, in Africa and Asia, which will offer regular training courses for fisheries policymakers and practitioners. We developed a curriculum on fisheries development, drawing on partnerships the International Organization for Standardization (ISO), the Marine Stewardship Council (MSC), the Royal Tropical Institute of the Netherlands (KIT), and Nha Trang University, Vietnam. The modules include the environmental, social and economic role of the fisheries sector; the role of food safety and quality standards; seafood technology and safety; and the opportunities and challenges of standards certification. The first training course was held at the Regional Centre of Excellence at Nha Trang University in Vietnam in October–November 2018. The course was attended by 55 participants from 15 countries (including 11 Least Developed Countries). Together with the International Maritime Organization (IMO) and the Common Fund for Commodities (CFC), we organized a brainstorming meeting on Impact Financing in the Fisheries and Aquaculture Sector in Structurally Weak and Vulnerable Economies, in London, United Kingdom, in November. The meeting brought together representatives of development finance institutions, impact investors and environmental labeling organizations to brainstorm on how to attract more impact investment to the fisheries and aquaculture sector in Least Developed Countries. We have developed measurable indices of productive capacities in landlocked developing countries, a crucial condition for economic diversification and sustainable economic growth. This work aims to assist landlocked developing counties in devising evidence-based development strategies. In 2018, we organized national workshops in Rwanda in July and in August in the Lao People’s Democratic Republic where experts had the opportunity to review the Productive Capacities Indices and compare results with a qualitative assessment. The experts also received training in the crucial role of productive capacities in sustainable development, and in identifying national priorities for policymaking. We also organized a regional workshop on Productive Capacities, Export Diversification and Structural Transformation attended by 42 participants from eight landlocked countries in Africa, including 25 women, in Botswana in November. In April, together with the European Union, we launched our joint programme of support for Angola – also known as Train For Trade II – in Luanda. The project cuts across several of our work programmes and addresses several Sustainable Development Goals, including Goals 1, 8, 9, 12 and 17. During 2018, UNCTAD conducted 15 activities, consisting of training workshops, study tours and train-the-trainer workshops on subjects as diverse as green exports, entrepreneurship, trade facilitation, and commercial diplomacy. By December 2018, UNCTAD had trained more than 304 stakeholders and key non-oil sector export items had been identified, including timber, honey, fisheries, and coffee. The summit addressed how to design strategies to enhance the contribution of export diversification to employment creation in Africa, particularly in the Least Developed Countries. Participants of the meeting concluded that it is important for governments to provide employment services, skills development and targeted labour-market training, with a special emphasis on technical and vocational education to ensure that export diversification contributes to employment creation. The summit led to the adoption of a communique by African think tanks to be presented to African Union leaders. We assist developing countries in promoting the development of businesses, especially small and medium-sized enterprises so that they can grow and compete in the global economy. Multiple factors are at play, including the ability of enterprises to attract investment and participate in mutually beneficial business linkages with transnational corporations. Our work was recognized with the adoption by the UN General Assembly of a resolution on entrepreneurship for sustainable development (A/C.2/73/L.35/Rev.1) in November 2018, which singled out UNCTAD’s Empretec entrepreneurship programme for its best-practice behavioural approach to training. Our existing Entrepreneurship Policy Framework (EPF) continued to be leveraged for the development of targeted national entrepreneurship strategies, and in 2018 Tanzania launched its Inclusive National Entrepreneurship Strategy and action plan based on the framework. We are now assisting Ethiopia – the seventh country to use the EPF as a base – to develop a national enterprise strategy. In 2018, together with the International Organization for Migration and the United Nations Refugee Agency (UNHCR), we published a Policy Guide on Entrepreneurship for Migrants and Refugees, which takes the EPF as its departure point. The guide offers practical guidance for hosting countries, and development and humanitarian partners, on how to best ensure that refugees and migrants use their skills and abilities to build their livelihoods while contributing to host communities and economies. Empretec, UNCTAD’s grassroots entrepreneurial training programme, has in the 30 years since its launch in 1988 established centres in 40 countries, training more than 450,000 entrepreneurs, helping them to found or expand businesses and create many hundreds of thousands of jobs. The Empretec Global Summit 2018, which took place in Istanbul, Turkey in April, gathered graduates of the programme to provide them with new opportunities and incentives to internationalize, improve productivity, create cross-border business-to-business links, identify potential funding sources and forge new partnerships. The programme also presented the Empretec Women in Business Awards at the World Investment Forum 2018 as an acknowledgment of the great achievements of women entrepreneurs trained through the programme. In doing so, as well as Goal 8, the programme contributes to Goal 5 on reaching gender equality. Our business facilitation programme has since 2005 deployed a series of web-based e-government systems – eRegulation, eRegistration and Trade Portals – to help countries improve their business climate through transparency, simplification and reduction of business creation and operational requirements. These systems make it easier access to information and streamline administrative procedures, promoting entrepreneurship as entreated by Target 3 of Goal 8. In 2018, we rolled out new iterations including the Rwanda Trade Portal to support trade operations through transparency and administrative streamlining, an online investment guide for the Republic of the Congo, and a website on the procedures required for Dakar-Bamako Corridor connecting Senegal and Mali in West Africa. As a result of such implementations, so far 68 systems have been implemented in 37 countries, with 2,993 procedures documented online, producing an 80% reduction of business registration steps, forms and documents. Functioning markets boost economic growth, and we assist developing countries in improving and strengthening competition and consumer protection law enforcement capacities to fight anti-competitive and unfair commercial practices. In 2018, we concluded the third edition of our programme on competition and consumer protection in Latin America, COMPAL, which includes 17 countries and was funded by Switzerland. Our MENA programme promoting regional integration through improved competition and consumer policies in Algeria, Egypt, Jordan, Lebanon, Morocco, Tunisia and the State of Palestine, funded by Sweden, opened a training centre in Cairo, Egypt. The strengthening of competition and consumer protection policies was intensively pursued through the adoption and revision of legal frameworks and awareness-raising activities addressed to governments, parliaments and the private sector for the Economic and Monetary Community of Central Africa, with the addition of Sao Tome and Principe and the Democratic Republic of the Congo, and funded by the European Union. In July, the annual meeting of the Intergovernmental Group of Experts (IGE) on Competition Law and Policy undertook a voluntary peer review of Botswana’s competition law and policy – ten years after the country adopted its competition law – in which UNCTAD provided regular technical cooperation and capacity building services. In 2018, we continued to assist countries with the formulation and implementation of policies and accompanying measures that favour women’s social and economic empowerment. We carried out our capacity building, analytical and policy advocacy activities aimed at increasing understanding of the nexus where trade and gender policies meet. Target 5 of Goal 8 calls for full and productive employment and decent work for all women (and men) but trade patterns often disadvantage women in ways that can be tackled with informed policymaking. Three iterations of UNCTAD’s online courses on trade and gender were delivered in 2018 targeting a broad range of stakeholders – from developing and Least Developed Countries, countries with economies in transition, and from other international organizations. We worked with regional partners such as TradeMark East Africa to analyze the impact of regional integration in the East African Community on women’s wellbeing, and developed tools to influence gender-sensitive policymaking. We continued to work with Malawi, the United Republic of Tanzania and Zambia to leverage informal cross-border trade for women’s empowerment, economic development and regional integration. Through a combination of analytical and capacity-building activities, we are helping to strengthen the capacity of cross-border traders, especially women, to benefit from trade activities and develop their business beyond subsistence. We also organized a photography exhibition on this work, called “Borderline: Women in Cross-border Trade” in Geneva to coincide with International Women’s Day in March. In 2018, we worked with nine Pacific Island Countries to analyze the relevance of transparency in international trade for women's economic empowerment as part of an interdivisional project on transparency in trade regulations and facilitation in the PACER Plus trade agreement between Australia, Cook Islands, Kiribati, Nauru, New Zealand, Niue, Samoa, Solomon Islands, Tonga, Tuvalu, and Vanuatu. As well as Goal 8, our work on trade and gender helps meet the objectives of Goal 5 on gender equality. With a view to helping Least Developed Countries grow and provide jobs in services trade – as well as double their share of global exports by 2020 (Target 11 of Goal 17) – we compiled country case-studies for Cambodia, Nepal, Senegal and Zambia on the use of the World Trade Organization’s waiver to promote services exports through preferential treatment. We play a leading role in analyzing the creative industries and providing insight into the global creative economy through our Creative Economy Programme. The programme’s focus is on trade in the creative industries and the role of the creative economy in the growth of developing economies, and UNCTAD’s work has elevated policymaking for the creative economy on the world economic and development agenda. Our data-driven insights on trade in creative goods and services make a unique contribution to understanding the creative economy as many emerging economies and developing countries seek economic diversification, supporting Target 2 of Goal 8 to “achieve higher levels of economic productivity through diversification”. In 2018, we explored the the emerging opportunities at the intersection of the creative and digital economies at the Beijing International Forum on Creative Economy and Summit on Augmented Reality Industry Development that took place at the China Trade in Services Fair in May, and helped Indonesia to hold the World Conference on Creative Economy in Bali in November. Goal 12 helps countries to conserve resources, reduce waste, including harmful waste, and uphold patterns of production and consumption that will protect all our futures. Our mandate, the Nairobi Maafikiano, entrusts us with the responsibility of addressing “the nexus between trade, development and the environment through research and technical cooperation on environmental sustainability”. This work includes “the sharing of best practices and assistance to member States in developing sustainable natural resource management systems and appropriate responses to the impacts of climate change as they relate to trade and development”. This chapter looks at our work in 2018 to respond to the targets of Goal 12. High-quality accounting standards and reporting practice is crucial to cement the credibility of a country’s corporate environment, and critical to attracting investment and promote financial stability. Accountable and transparent institutions also create stability and predictability and prevent illicit flows, minimizing organized crime and terrorism. With this in mind, UNCTAD’s Accounting Development Tool (ADT) was developed to help build and spread corporate reporting best practice. The ADT is being expanded to reinforce sustainability reporting and integrate the Sustainable Development Goals into corporate reporting. The ADT has been rolled out to 14 countries and its impact is complemented by the work of the Intergovernmental Working Group on Standards of Accounting and Reporting (ISAR), hosted by UNCTAD. In 2018, efforts were made to further improve environmental, social and governance reporting tools in the context of the Sustainable Development Goals. The 35th session of ISAR, which took place during the World Investment Forum in October, saw the release of draft indicators aimed at harmonizing sustainability reporting and the integration of sustainability information into companies’ reporting cycles. These indicators enhance the role of accounting and reporting in assessing the private sector contribution to the implementation of the 2030 Agenda and sees the fulfillment of ISAR’s role as custodian of Target 6 of Goal 12. Other activities in this area of work included a roundtable discussion on measuring the private sectors’ contribution to the attainment of the Sustainable Development Goals and the convening of a Consultative Group on Sustainable Development Goal reporting by companies. Emerging issues were tackled through a technical workshop on the topic of blockchain, digitalization and digital currencies, and their implications for reporting. We also published essential research on environmental, social and governance reporting. 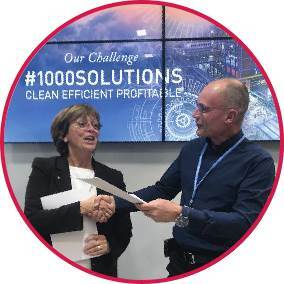 In 2018, we also recognized the first ISAR Honours, a new award to encourage companies to adopt sustainability practices by raising awareness and facilitating dissemination of national good practice on Sustainable Development Goal reporting by companies. A wide range of stakeholders was recognized for their work this year. Winners included: WBCSD in partnership with Climate Standards Disclosure Board, Ecodesk; FSR; B3; Sweden’s Ministry for Economy and Finance, France’s Ministry for Financial Markets and Consumer Affairs; UK Green Finance Taskforce; Professor Carol Adams, Durham University Business School, supported by the Institute of Chartered Accountants of Scotland and Aviva’s World Benchmarking Alliance. We also implemented a new capacity-building project, the Enabling Policy Frameworks for Enterprise Sustainability and Sustainable Development Goal Reporting in Africa and Latin America with the purpose of strengthening the capacity of governments to measure and monitor the private sector contribution to the Sustainable Development Goals. Consumers have a fundamental role to play in making the urgently needed changes to consumption and production patterns that underlie Goal 12. Consumers need to form links and understand how their consumption choices, use and disposal of products and services can reduce their overall impact on the environment. They also need to feel confident that the information they get is both reliable and accurate. Consequently, consumer protection policies – and our work supporting them – are vital. In 2018, we published a report on Achieving the Sustainable Development Goals through Consumer Protection, focusing on sustainable consumption and healthcare services. This publication provides essential background for consumer protection agencies and governments of developing countries committed to implementing the United Nations Guidelines for Consumer Protection and follows our Manual on Consumer Protection released in 2017. On the ground, we assisted the Central African Economic and Monetary Community, as well as the Democratic Republic of Congo and Sao Tome and Principe, to improve consumer protection policies by designing regional guidelines based on the United Nations Guidelines for Consumer Protection. We also fully participated in discussions on product safety – in particular, the security and data protection for children’s connected products, children's online protection and industry and regulation proposals – at the G20 Consumer Summit in Buenos Aires in May. Target 3 of Goal 12 aims to reduce food losses along production and supply chains by 2030, and the 6th session of the Multi-year Expert Meeting on Services, Trade and Development, held by UNCTAD in May 2018, examined food-related logistics services. Experts proposed that countries should take a holistic approach covering different transport modes and supply chain segments in improving integrated logistics performance. Improvements in logistics are essential for reducing delivery times and costs, contributing to the achievement of Goal 12 on food waste. To promote the sustainable patterns of production foreseen by achieving Goal 12, we work with producers in developing countries to adhere to voluntary sustainability standards, such as organic certification. Our work on voluntary sustainability standards is getting Champa and other coffee growers in the Lao People's Democratic Republic the help he needs, as well as assisting smallholder coconut producers in Vanuatu and the Philippines. The project helps them improve their green export opportunities via organic certification and to achieve responsible and sustainable production at the country level. At the international level, we lead a collaboration framework, the United Nations Forum on Sustainability Standards (UNFSS), made up of five UN agencies. The work of UNFSS is rooted in the existing mandates and activities of participating agencies. The value of the forum lies in pooling resources, synchronizing efforts and assuring policy coherence, coordination and collaboration. The UNFSS is coordinated by a steering committee of the Food and Agriculture Organization of the United Nations (FAO); the International Trade Centre (ITC); the United Nations Conference on Trade and Development (UNCTAD); the United Nations Environment Programme (UN Environment); and the United Nations Industrial Development Organization (UNIDO). Our National Green Export Reviews helped ensure sustainable consumption and production patterns – the objective of Goal 12 – by isolating environmentally friendly export opportunities for developing countries and economies in transition. Commissioned for ten countries to date, National Green Export Reviews have focused on a wide range of green products. In 2018, they focused on ecotourism and natural soaps in Lebanon; organic mangoes and cashews in Senegal; and organic walnuts, honey and grains in the Republic of Moldova. National action plans for products are being implemented by national stakeholders to increase employment opportunities and reduce the environmental impacts of production, enhance product quality and value addition, and boost export levels. Also in 2018 the BioTrade Initiative, which supports the legal trade of native flora and fauna for sustainable economic development, was a featured partner of the International Trade Centre’s annual Trade for Sustainable Development Forum which focused on Goal 12. Leverage the International Trade Centre’s contribution to the Sustainable Development Goals through support to SME international competitiveness for inclusive and sustainable growth through value addition, trade, investment and global partnerships. With interactive sessions, the BioTrade Initiative contributed to an increased understanding of the sustainable production of biodiversity-based products and the sustainable consumption of biodiversity-friendly products in safeguarding the natural environment. 14.4: By 2020, effectively regulate harvesting and end overfishing, illegal, unreported and unregulated fishing and destructive fishing practices and implement science-based management plans, in order to restore fish stocks in the shortest time feasible, at least to levels that can produce maximum sustainable yield as determined by their biological characteristics. 14.6: By 2020, prohibit certain forms of fisheries subsidies which contribute to overcapacity and overfishing, eliminate subsidies that contribute to illegal, unreported and unregulated fishing and refrain from introducing new such subsidies, recognizing that appropriate and effective special and differential treatment for developing and least developed countries should be an integral part of the World Trade Organization fisheries subsidies negotiation. 14.7: By 2030, increase the economic benefits to small island developing States and Least Developed Countries from the sustainable use of marine resources, including through sustainable management of fisheries, aquaculture and tourism. 14.B: Provide access for small-scale artisanal fishers to marine resources and markets. Allow for a better understanding of key trends in trade in seafood and its prospects for developing countries – which posted record fish and seafood exports of $152 billion in 2017. Expose delegates to sustainability challenges such as fish subsidies, illegal, unregulated and unreported fishing, overfishing, overcapacity and ecosystem depletion and lack of cooperation. Enrich World Trade Organization discussions on fish subsidies and enable the emergence of a single, complete and non-attributed draft text that includes specific prohibitions on certain forms of fish subsidies, proposals on special and differential treatment and transparency – UNCTAD data has made clear that the world’s top four subsidizing nations provide more subsidies than all other countries put together. Contribute to the monitoring and implementation of the Food and Agriculture Organization’s Port State Measures agreements in tackling Illegal, unregulated and unreported fishing and support countries in enhancing management plans. Provide options and approaches to building a sustainable seafood sector and other marine-products value chains in developing countries. In his chair’s summary, delivered at the close of the event, Mr. Thomson said the Trade-related Joint Plan of Action that the coalition had proposed would “serve as an important means of implementation to mobilize resources, technical expertise and partnerships”. Mr. Thomson concluded with a reminder of the importance of the ocean to social, economic and environmental progress. UNCTAD’s Oceans Forum has become a unique trade arena in sharing state-of-the-art analysis, country experiences and public-private best practices towards generating policy recommendations and proposing specific actions aligned with the trade-related targets of Goal 14 by building upon existing multilateral agreements and United Nations General Assembly Resolutions. Our work on the ground in support of Goal 14 includes the UN Development Account Project on Evidence-based and Policy Coherent Oceans Economy and Trade Strategies which was active in 2018 helping more than 100 national stakeholders in Barbados, Belize and Costa Rica obtain, improve, and retain the skills and knowledge they need to identify and assess their oceans-based sectors and develop trade policies and regulations. In Belize, this work concentrated on the sustainable use of finfish species in the marine fishery, and value addition for lobster and conch in seafood manufacture, while in Costa Rica the focus was on coastal and large-pelagic fishing within and outside its Exclusive Economic Zone. The Blue BioTrade approach involves working across multiple levels of the value chain to develop sustainable livelihoods, adopt an ecosystem-based management approach, and foster swift adaptation to dynamics markets and changing ecological conditions such as climate change. In coming years, we plan to undertake pilot projects in coastal and island developing countries in cooperation with the Development Bank of Latin America and the Convention on International Trade in Endangered Species of Wild Fauna and Flora (CITES). We also continued to actively contribute to work under the auspices of the UN-Oceans interagency mechanism, including the development of indicators for Target C of Goal 14 (on the implementation of international legal instruments for the conservation and sustainable use of the oceans and their resources). During the 24th session of the Conference of the Parties (COP 24) to the United Nations Framework Convention on Climate Change (UNFCCC) in Katowice, Poland in December 2018, we participated in a UN-Oceans side-event on optimizing the integration of ocean-related issues into the Nationally Determined Contributions and National Adaptation Plans central to climate action. Our work under Goal 15 on promoting sustainable use of terrestrial ecosystems intersects with our mandate, the Nairobi Maafikiano, in the domain of biotrade – sustainable trade in products derived from native biodiversity – and specifically the BioTrade Initiative. The mandate calls for us to help developing countries to “promote sustainable trade in biodiversity products and services to strengthen the sustainability of biodiversity and foster sustainable growth”. The BioTrade Initiative, its partners and beneficiaries in Africa, Asia, the Americas and Europe have contributed to enhancing environmental, social and economic sustainability through the trade of biodiversity-based goods and services. This work has generated projects that use the surrounding biodiversity, going beyond traditional crops and livestock, to develop and trade value-added products. BioTrade is also increasing the economic self-reliance and resilience of communities and small businesses, mainstreaming biodiversity and Access and Benefit-Sharing (ABS) schemes, while safeguarding biodiversity. BioTrade and ABS mechanisms have enabled developing countries in generating economic incentives to safeguard biodiversity, create sustainable livelihoods and foster economic growth. Our programme on sustainable agriculture contributes to Goal 15 (and Goals 1, 2, 5 and 10) by ensuring that agricultural production best practices take into account food security, climate change, gender equality and inclusiveness in Vanuatu, Guatemala and Malawi. Together with our partner Helvetas, we have worked with companies, civil society and cooperation agencies in the Mekong Region of the Lao People’s Democratic Republic, Myanmar, and Viet Nam, organizing two workshops in June 2018 to enable better coordination among regional technical assistance providers and the beneficiary countries. In Latin America, we held a national workshop in Lima, organized with the Peruvian government and the Development Bank of Latin America, on coherently implementing the Nagoya Protocol on Access to Genetic Resources and the Fair and Equitable Sharing of Benefits Arising from their Utilization to the Convention on Biological Diversity and BioTrade. During the event, we presented our BioTrade and ABS handbook, and model clauses for access contracts for commercial purposes. This handbook has also been translated to Spanish, French and Korean. 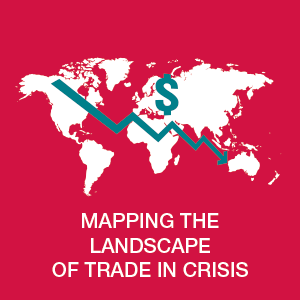 International trade offers an opportunity for smuggling, tax avoidance and money laundering, while the economic deprivation and climate change pressures can breed the conditions violence and even war. Our response to the peace and justice objectives of Goal 16 include combatting crime and promoting transparency in international trade as well as building productive economies that offer protection and prosperity to all. Target 5 of Goal 16 envisions substantially reducing “corruption and bribery in all their forms, while Target 6 looks to develop “effective, accountable and transparent institutions at all levels”. One of the main drivers of trade facilitation is transparency and we have contributed to it by building capacity, dialogue and public-private partnerships in National Trade Facilitation Committees, and through Trade Information Portals. The Trade Information Portal is an IT tool that provides traders with the necessary information on procedures for export, import and transit operations. World Trade Organization members are required by Article 1 of the WTO Trade Facilitation Agreement adopted in 2015 to set up a trade information portal, and our solution is becoming the global gold standard. We have helped launch portals in three East African Community (EAC) countries: Kenya, Rwanda and Uganda. Using data from these national portals, the EAC Regional Trade Facilitation Index was launched in Nairobi, Kenya during a Ministerial Retreat on Trade Facilitation organized by UNCTAD and partners in December 2018. The index allows comparison and harmonization of trade procedures among the EAC partner States at regional level and will be hosted at the EAC Secretariat. In addition to this work in Africa, we are helping the development of national Trade Information Portals in the Pacific region under a Pacer Plus project financed by the Governments of Australia and New Zealand. Trade Information Portals not only provide information to traders but also help National Trade Facilitation Committees to simplify and streamline trade procedures to reduce time and costs of trade transactions. In parallel work, the deployment of our ASYCUDA system also contributes to Targets 5 and 6 of Goal 16, combatting bribery at borders and significantly reducing opportunities for corruption. In 2018, UNCTAD started to analyze more systematically the problem of measuring illicit financial flows (IFFs). IFFs constitute a significant drain on vital and scarce development resources in many developing economies. By diverting resources from social spending and productive investment, they pose a direct threat to sustainable and inclusive development. They could also weaken political and institutional legitimacy and adversely affect overall economic activity. These risks have been recognized in the 2030 Agenda for Sustainable Development, with the reduction of IFFs listed explicitly as a target of Goal 16. The challenge was that little is known about the magnitude and the channels of IFFs. Although some estimates have been proposed in the literature, there is still no agreed definition or measurement methodology for these flows. This is problematic from a policy perspective because such information would allow policymakers from developing countries to gain knowledge on the size of IFFs, their origins and channels, as well as obtain evidence for targeted and effective policies for curbing these flows. In close cooperation with the United Nations Office on Drugs and Crime (UNODC) and the United Nations Economic Commission for Africa (UNECA), UNCTAD is working on developing a measurement framework for Goal indicator 16.4.1. This is a complex project that involves defining and designing measurement tools to capture both illegal and illicit activities which, by their very nature, are hidden deliberately. As a co-custodian of the Goal indicator 16.4.1, we are striving to define, estimate and disseminate statistics on IFFs in the context of developing economies in Africa, some of the most affected by this developmental challenge. Through a series of implementation guidelines, pilot activities and technical assistance, by 2020 UNCTAD, UNODC and UNECA will have developed the capacity to measure IFFs in several participating countries in Africa. The result will be the capacity to more accurately estimate IFFs in participating countries. The lessons learned will inform the national monitoring of IFFs and will guide policy actions in affected countries to curb these flows. As such, it will also increase the likelihood of developing countries achieving the 2030 Agenda for Sustainable Development. Each year, at UNCTAD, our world-leading researchers publish numerous policy briefs, policy reviews, discussion papers, statistical handbooks, trends monitors, case studies, technical notes, bulletins and monographs. They are also behind our authoritative flagship reports. In 2018, these reports informed the global debate on crucial themes such as intra-African migration; investment and new industrial policies; globalization and digital platforms; entrepreneurship in the least developed countries; and frontier technologies and sustainable development. The Review of Maritime Transport, a leading global reference for statistics and analysis of the worldwide shipping industry marked its 50th anniversary. The report says that frontier technologies hold the promise to revive productivity and make plentiful resources available to end poverty for good, enable more sustainable patterns of growth and mitigate or even reverse decades of environmental degradation. But technological change and innovation need to be directed towards inclusive and sustainable outcomes through a persistent effort by governments, in collaboration with civil society, business and academia. 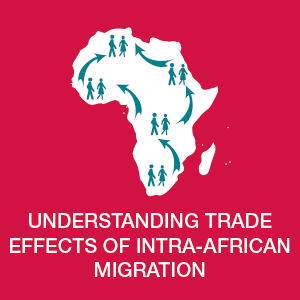 This edition highlights how intra-African migration is relevant to regional and continental integration and shows that there are still many knowledge gaps, including the relationship between migration, economic and trade policies. Plugging these gaps with new data on patterns of intra-African migration and how they affect Africa’s socio-economic development, the report adopts a human-centered narrative in identifying opportunities for absorption of labour in different sectors across the continent. The 2018 report is dedicated to the theme of investment and new industrial policy. More than 100 countries have adopted industrial development strategies in recent years. New types of industrial policies have emerged, responding to the opportunities and challenges associated with a new industrial revolution, and the report presents options for investment policy tools in this new environment. The 2018 report examines how economic power is concentrating in a smaller number of prominent international firms and the impact this is having on the ability of developing countries to benefit from their participation in the international trading system and to gain from new digital technologies. 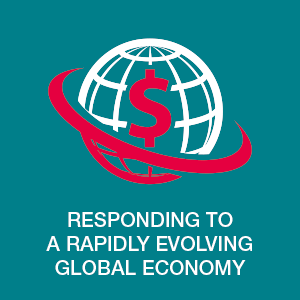 As advanced economies have not done enough to rebalance the global economy, there are concerns that their “normalizing” monetary policies could send further shockwaves through capital and currency markets, with a vicious economic spiral in more vulnerable economies already looking possible. The report says that the Sustainable Development Goals requires Least Developed Countries to transform the structures of their economies and this, in turn, requires entrepreneurship that innovates. But the entrepreneurial landscape in LDCs is dominated by micro and small enterprises with low growth chances and scant innovation, supported by policies and programmes for entrepreneurship aimed at job creation, poverty reduction and women and youth empowerment. For structural transformation to occur, however, entrepreneurship policies need to target and support high-potential firms. Technological advances including artificial intelligence, the Internet of Things, blockchain applications, autonomous ships, drones and others have the potential to boost efficiency in the global shipping industry, says the 50th-anniversary edition. Since growth in demand for seaborne trade is running ahead of supply, according to the latest data in the report, new technologies could introduce much-needed cost, time and environmental efficiencies. In 2018, we continued to respond to the evolving, multifaceted, increasingly complex needs of the Palestinian economy under occupation and sustained its efforts to build the Palestinian public and private sector capacities required for a future sovereign Palestinian State. In June, the State of Palestine became a full member of the United Nations Conference on Trade and Development. Palestine had earlier become part of the United Nations Education, Scientific and Cultural Organization, a specialized agency, and under the Conference’s rules of procedure, its members are those which are already members of the United Nations or one of the world body’s specialized agencies. Our annual report on Palestine warned that evaporating donor support, a freeze in the reconstruction of Gaza and unsustainable, credit-financed public and private consumption offer poor growth prospects for the Palestinian economy. An 11-year blockade of the Gaza Strip had produced profound suffering and aid dependency, the report said. 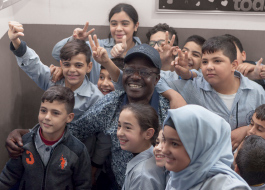 During a visit to Lebanon, Secretary-General Mukhisa Kituyi marked the International Day of Solidarity with the Palestinian People on 29 November by visiting Shatila, a refugee camp. He met children at Ramallah School, run by the United Nations Relief and Works Agency for Palestine Refugees in the Near East, and held discussions with representatives of the community to identify areas of future collaboration in support of displaced Palestinians. Our work on debt management is critical for achieving Target 4 of Goal 17 on the importance of assisting developing countries in attaining long-term debt sustainability and reducing the risk of debt distress. Effective debt management is an intrinsic part of sound public financial management and overall good governance. Active public debt management is also an essential tool for ensuring that countries maintain sustainable levels of debt, in pursuit of their broader development objectives. UNCTAD’s Debt Management and Financial Analysis (DMFAS) Programme offers a set of proven solutions to improve the capacity of developing countries to manage public debt and consequently public resources. Supporting 57 countries in the world – including a new one in 2018 – the DMFAS Programme continued to prove itself as an essential tool by providing technical training and capacity building resulting in improved external and domestic debt data as well as improved reporting and transparency. For example, in 2018, the DMFAS Programme completed a two-year technical assistance project in Togo, financed by the European Union. The project resulted in improved integration of debt management in the broader framework of public finance management and strengthened the government’s debt management capacity. Togo’s Ministry of Economy and Finance (MEF) implemented Version 6 of the DMFAS software and debt management officers and IT experts were trained to maintain and use it. The project also supported the introduction of quality-control procedures for the database. As a result, the debt database is now entirely reliable and comprehensively covers central government debt. With our support, the debt management office produced the first central government debt statistics bulletin, which is now available on a MEF website. It contains 22 tables on external and internal government debt as well as cost/risk indicators of the debt portfolio. The MEF plans to produce its debt statistics bulletin every six months. Also, Togolese treasury officers benefited from a capacity building workshop we ran on new procedures. We trained them to produce additional documentation such as work instructions and operating procedures for DMFAS-related tasks. Participants also reviewed existing debt management office manual. Finally, the project supported the development of the interface between the current integrated financial system and DMFAS database that allows for the electronic exchange of data, enhancing the timeliness of the data recorded in the debt database. As an indicator of success, the 2017 Country Policy and Institutional Assessments (CPIA) of the World Bank conducted in Togo acknowledged progress in debt management practices in the country (+0.5 point for this indicator between 2016 and 2017). CPIA is a method of evaluation rating of countries against a set of 16 criteria grouped in four clusters: economic management, structural policies, policies for social inclusion and equity, and public sector management and institutions. At the close of the project, MEF authorities expressed their appreciation for the support we provided and committed to sustaining and further deepening the results obtained during the project. UNCTAD’s Automated System for Customs Data (ASYCUDA) Programme is directed at reforming the customs clearance process. It aims at speeding up customs clearance through the introduction of computerization and simplification of procedures and thus minimizing administrative costs to the business community and the economies of countries. ASYCUDA also aims at increasing customs revenue, which is often the major contributor to national budgets in most countries, by ensuring that all goods are declared, that duty/tax calculations are correct and that duty/exemptions, preference regimes, and so on, are correctly applied and managed. Furthermore, it aims at producing reliable and timely trade and fiscal statistics to assist in the economic planning process as a by-product of the customs clearance process. An important objective of ASYCUDA projects is to implement the systems as efficiently as possible with a full transfer of know-how to national customs administrations at the lowest possible cost for countries and donors. Projects also introduce international standards, and the active cooperation among a steadily growing number of ASYCUDA user countries further increases mutual benefits. In 2018, ASYCUDA’s work in Afghanistan, funded by the World Bank, delivered remarkable results. 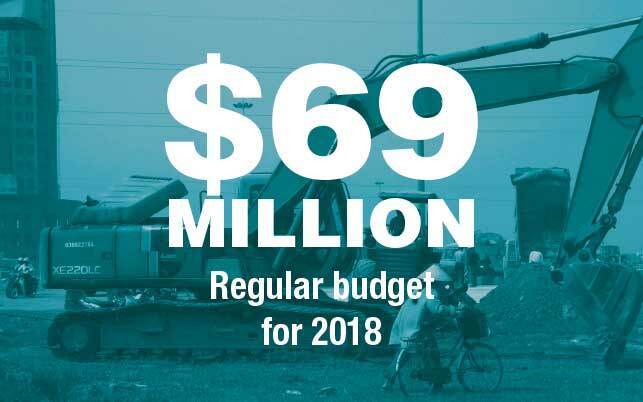 The ASYCUDA system now covers more than 90% of international trade with Afghanistan, delivering significant benefits to the country by contributing to an increase in customs’ annual revenue to almost $1 billion in 2018 (up from $50 million in 2005). ASYCUDA was rolled out simultaneously with UNCTAD-led trade facilitation reforms which were implemented by the ministries of finance and commerce. The computerization of customs operations has played an essential role in the consistent and transparent enforcement of customs legislation, regulations and procedures at the national level, leading to more straightforward trading, faster exports and imports – and a positive impact on the Afghan economy. ASYCUDA now provides accurate and timely information to decision-makers by constantly monitoring imports and exports. Waiting time at significant border crossings has decreased significantly – at Torkham, on the border with Pakistan, more than 90% of trucks are now cleared in less than 90 minutes, down from 18 hours in 2003. More than 100 developing countries work with UNCTAD to use ASYCUDA to automatize their customs process, contributing significantly to improving the management of customs, raising revenues from tariffs and enhancing their private sector’s competitiveness in international trade. The programme has been regularly updated and upgraded over the years and is now developing single-window environments, bringing together various parties that interact with customs during import and export procedures. To support developing countries in their efforts to diversify their economies, attract higher levels of foreign direct investment (FDI) and promote sustainable development, UNCTAD conducts diagnostic studies of the legal, regulatory, institutional and operational environment for investment, called Investment Policy Reviews (IPRs). IPRs encourage official development assistance and investment in countries where needs are greatest. The IPR recommendations are in line with countries’ national development plans and focus on key development sectors, including agriculture, mining, manufacturing, tourism and infrastructure. By helping countries in this manner, the IPR programme contributes to Target 2 of Goal 8 to “achieve higher levels of economic productivity through diversification, technological upgrading and innovation, including through a focus on high-value-added and labour-intensive sectors”. It also contributes to Target B of Goal 10 “to encourage financial flows, including foreign direct investment, to States where the need is greatest, in particular, Least Developed Countries, African countries, small island states and landlocked developing countries, in accordance with their national plans and programmes”. The programme, which has been running since 1999, has so far covered 49 economies, including a regional review. In 2018, the value of IPRs was emphasized through the IPR Implementation Reports: Lessons Learned report, showing that a positive correlation exists between the implementation rates of IPR recommendations and FDI inflows, with on average FDI inflows more than tripling in IPR countries post-implementation. This performance underscores the contribution of the tool toward the delivery of the above stated SDG targets. 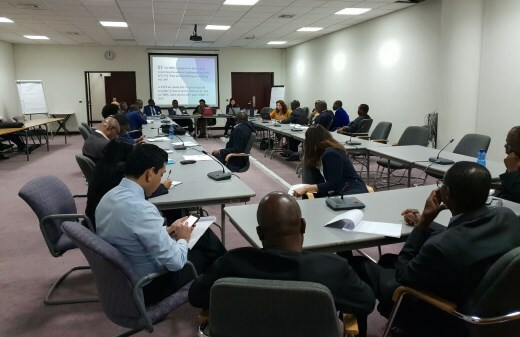 The IPRs for Cabo Verde and Lebanon were completed and presented at the Investment, Enterprise and Development Commission’s tenth session, to disseminate lessons and facilitate the exchange of best practice, for the benefit of more countries. Also completed was the IPR for South-East Europe, establishing a methodological innovation that can be replicated with future requests for regional reviews to amplify IPR work in the regional context. Work commenced on the IPRs for Angola and Chad and the implementation reports of the IPRs of Nigeria progressed to an advanced stage. In 2018, we continued our support to developing countries in reviewing their science, technology and innovation policy (STIP). During the year we started work on the Science, Technology and Innovation Policy Reviews of Uganda and Ethiopia, undertaking fact-finding missions in October and November. The missions were preceded by intensive preparatory work with counterparts in the countries to ensure effective national ownership the review process. Furthermore, we finalized a revision of the STIP framework we use to assess the science, technology and innovation situations in countries. The new framework broadens the current one by integrating all three dimensions of the Sustainable Development Goals -- economic progress, social inclusiveness and environmental sustainability -- and incorporates issues of the directionality of innovation. 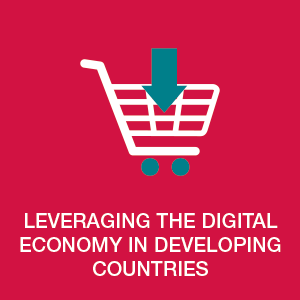 As the digital economy expands and touches more business activities, an emerging priority for many Least Developed Countries is to assess their readiness to participate in e-commerce and digital trade. However, harnessing e-commerce for sustainable development requires effective policies based on sound evidence, and this is the objective of UNCTAD’s Rapid eTrade Readiness Assessments. With the support of our development partners – the governments of Germany and Sweden, and the Enhanced Integrated Framework – we completed assessments for Burkina Faso, Lao Peoples’ Democratic Republic, Liberia, Madagascar, Myanmar, Senegal, Togo, Uganda, Solomon Islands, Vanuatu and Zambia in 2018. Each assessment includes policy recommendations aimed at ensuring that benefits from online trade reach all segments of society. The reviews confirmed that vast reform projects are needed in LDCs to benefit from e-commerce. None of the countries currently have a dedicated e-commerce strategy. Low-levels of internet accessibility and service quality, often due to a lack of competition in the telecommunications sector, is a common obstacle to digital growth. Weak and costly hard infrastructure, and logistics services that are not well integrated by operators, hamper deliveries of goods bought or sold online to “the last mile”. The private sector is also often disconnected from decision-makers and the assessments have proven their value for fostering this public and private dialogue. To meet the growth in demand for assessments, we trained a pool of experts and consultants on the relevant methodology in March 2018 and we intensified our collaboration with other eTrade for all partners to enrich the assessments from the beginning to the end of the process. However, as Secretary-General Mukhisa Kituyi said, “the benefits of these recommendations will not be felt unless they are effectively implemented. This will require integrating specific elements of the recommendations into national development plans, government and private sector initiatives, ICT policies and strategies, regulatory frameworks and development projects”. Some countries, like Myanmar in October 2018, partnered with us organize a national launch of its eTrade Readiness Assessment coupled with a donor’s roundtable on the digital economy and e-commerce. Moreover, assessments conducted in Burkina Faso, Senegal and Togo give impetus to the West African Economic and Monetary Union Commission to take the lead in preparing a regional e-commerce strategy, announced at a special event we co-organized in Ouagadougou, Burkina Faso, in October. How did Liza grow her honey business? Entrepreneur Liza Mamaliga started a company in Moldova in 2012 to get a better deal for her father’s honey by selling it in small jars to shops in the country's capital, Chisinau, than he could by selling it in bulk. The idea more than doubled the price per kilo and Liza was achieving something that eludes so many producers of honey and other green products, such as coffee and cocoa – adding value. Value-addition can turn green products, traditionally viewed as a tool for environmental protection, into a weapon against poverty. However, a limitation many producers like Liza face is small markets at home. Significant growth opportunities lie in exports. For Liza, this meant cracking markets in the European Union, the world’s largest consumer of honey and Moldova’s primary client. Moldovan honey is imported in bulk into the EU for less than 2.4 euros a kilo, but the market price for bottled, branded honey is 5.8 euros a kilo. This represents 24 million euros of opportunity for Moldova’s 6,000 to 8,000 beekeepers. In six years, Liza’s apiary has grown from 30 bee families to 160, and she has gone from one product to 25 – including a recently introduced cereal bar. The same honey that fetches 5 euros a kilo in a small jar earns 10 euros a kilo when turned into a bar. And Liza can spread the wealth since she sources all the ingredients locally, such as walnuts and cereals – two more green products for which Moldova has a competitive advantage, according to UNCTAD’s review of export opportunities for the country’s green products. In addition to Moldova, UNCTAD has or is carrying out Green Export Reviews for Angola, Ecuador, Ethiopia, Lebanon, Madagascar, Morocco, Oman, Senegal and Vanuatu. These studies took centre stage in October at our Green Export Forum 2018, which gathered entrepreneurs like Liza to share their stories and provide a platform for developing countries seeking to boost sustainable exports. 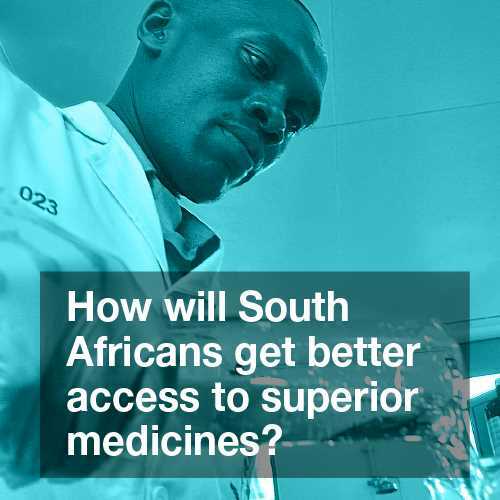 How will South Africans get better access to superior medicines? In May 2018, South Africa’s highest decision-making body approved the first phase of a new intellectual property policy that paves the way to better access to high-quality, affordable medicines in a country plagued with high infection rates for HIV/AIDS and tuberculosis. South Africa is home to one in five people in the world living with HIV and 15% of new infections occur within its borders. Also, according to the World Health Organization, the country ranked seventh in 2016 for new cases of tuberculosis. The government asked UNCTAD to help develop the policy because of its longstanding experience in technical cooperation in IP, access to medicines and local pharmaceutical production. We organized two stakeholder consultations in cooperation with South Africa’s Department of Trade and Industry and the UN Development Programme (UNDP). The World Health Organization, the World Intellectual Property Organization and the World Trade Organization also took part. Together with UNDP, we analyzed how the proposed IP policy could help the government meet international and domestic human rights obligations related to the right to health, seeking technical inputs from the Office of the High Commissioner for Human Rights. Not only is this an essential step toward improved access to medicines in South Africa but also a stronger domestic pharmaceutical sector. The policy is in now line with international practices and strikes a fair balance between incentives for innovation and the need to promote generic competition and access to medicines. 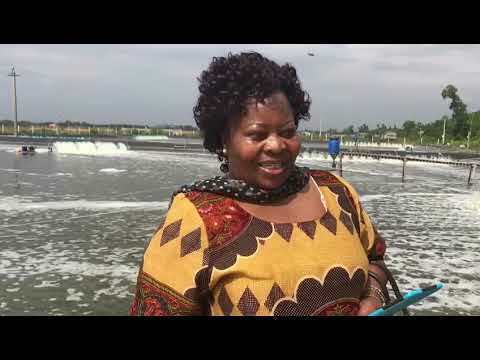 How did Uneiza build her green construction company? The founder of ConsMoz Ltd., a construction company based in Nampula, northern Mozambique, won the UNCTAD Empretec Women in Business Gold Award in October for her commitment to quality, sustainability and environmental protection – as well as for her pioneering leadership in a traditionally male-led sector. Civil engineer Uneiza Ali Issufo founded ConsMoz after finding it difficult to get ahead in construction companies despite being president of her local contractors’ association. After taking part in an Empretec entrepreneurship training workshop in 2017, the MBA graduate was empowered to expand her business so that it employs 800 women and men and lands large building contracts demanding top quality and green credentials. Ms. Issufo received her gold award from Secretary-General Mukhisa Kituyi and Francesca Lavazza, board member of the Lavazza Group, along with the winners of silver, bronze, export potential and special recognition awards, at a gala ceremony during the World Investment Forum 2018 in the historic Assembly Hall of the Palais des Nations in Geneva, Switzerland. The Empretec Women in Business Awards are given to women-owned businesses that have benefited from the business development services of the Empretec entrepreneurship programme, which marked its 30th anniversary in 2018. In line with the theme of the World Investment Forum – Investing in Sustainable Development – the 2018 awards were given for the crucial role that women's entrepreneurship and empowerment play in the 2030 Agenda for Sustainable Development. The ceremony provided an opportunity to showcase the Empretec programme and Women in Business Awards finalists to World Investment Forum delegates, impact investors, enterprise networks, and representatives from civil society and the private sector. 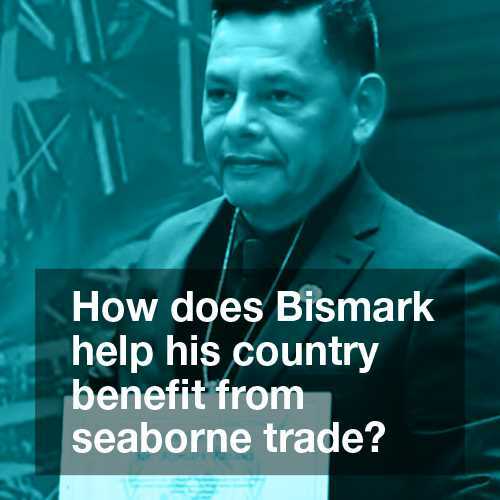 How does Bismark help his country to benefit from seaborne trade? In October 2018, the government of the Plurinational State of Bolivia awarded international classification to three river ports on the Paraguay-Paraná waterway that connects the landlocked nation with Argentina, Brazil, Paraguay, Uruguay and, more importantly, the Atlantic Ocean. Bolivia, South America’s most impoverished country by GDP per capita, lost its coastline to Chile after the 19th-century War of the Pacific. According to managers of Central Aguirre, Gravetal and Jennefer ports – all members of UNCTAD’s TrainForTrade Port Management Programme – the waterway offers an alternative route to the sea. Businesses can save time and money floating goods up and down the waterway instead of hauling them across the Andean Mountains that stand between Bolivia and Chile’s ports on the Pacific – a reduction in freight costs of around 18-20%, and up to 30% quicker. Port Jennefer, located on the Tamengo Canal, currently moves about 500,000 tons of cargo – mainly soybean flour and oil. But the port’s managers expect this figure to double quickly. Mr. Rosales credits UNCTAD with preparing the port for the more prominent role it will now play in Bolivia’s economic development, and for helping to turn the option of the waterway into a reality. How did Derrick become a champion for the digital economy? Derrick Kinyua is a young entrepreneur from Kenya and since 2017 a champion for the digital economy after joining the UNCTAD and Alibaba Business School eFounders Fellowship initiative. In 2015, 27-year-old Derrick founded Herdy, an e-commerce platform that combines produce from small farmers and handles order taking, payments and logistics for domestic farmers and customers. Derrick’s curiosity in exploring the differences between Silicon Valley e-commerce platform business models and the ones from China made him successfully apply for the programme, which was launched by Alibaba founder Jack Ma in his capacity as UNCTAD Special Advisor for young entrepreneurs and small business. After a “mind-blowing” two weeks stay in China where he witnessed the 11/11 Global Shopping Festival in Shanghai, became acquainted with Alibaba’s on and offline retail, warehousing, distribution centres, and payment models. He also visited connected, rural China, he returned home and realized that if he wanted his business to survive, he had to reimagine its future, and focus on managerial issues, long-term growth and impact on the ground. Among the first things he did was to realign his team around the same vision. This meant employees got a better understanding of what the business was about, adjust the work accordingly and take responsibility. 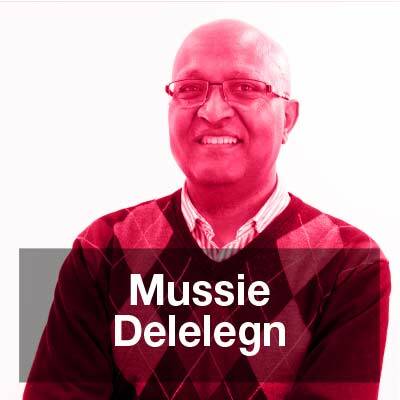 As trust was created within the company, Derrick was then able to carry out his role as a founder and focus on strategic, long-term thinking with a five-year plan. Derrick expanded the range of produce available on the platform, which, thanks to partnerships with cooperatives and others, now offers both offline and online sales to customers. As a result, Derrick has seen an increase in the number of local farmers joining his business and selling through his platform and increase the quality and standardization of products. Many challenges remain for Derrick and other like-minded young tech entrepreneurs, but thanks to the joint UNCTAD-Alibaba Business School initiative, a network of champions for the digital economy has now been created. They carry out awareness-raising at local and international level, such as at the 2018 Africa eCommerce Week and the World Investment Forum, and knowledge sharing to inspire other entrepreneurs. 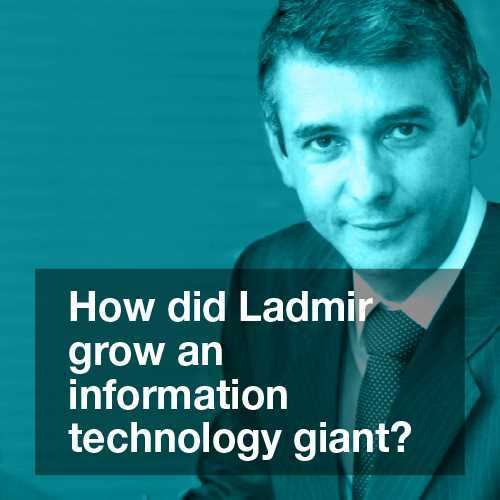 How did Ladmir grow an information technology giant? 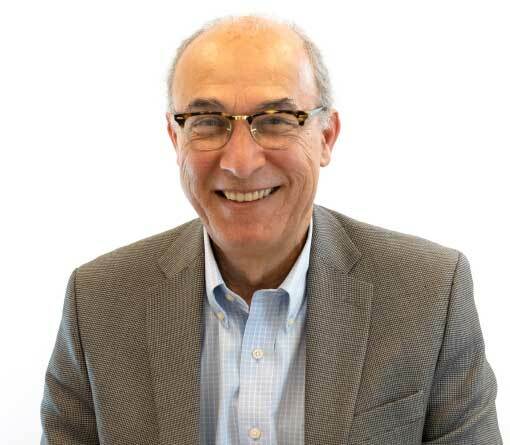 Alterdata, a software developer specializing in business management systems, was founded in Teresópolis, Brazil, in 1989 by Ladmir Carvahlo when he was just 26. The location – a mountain city of 170,000 inhabitants far from the country’s urban hubs – curtailed business growth at first, but ten years later, Ladmir took part in an UNCTAD Empretec workshop. After the training, Ladmir realized the potential of his competitive advantage and how it could be leveraged to the rest of the country with careful planning. The intrepid entrepreneur first set out to empower his team – all employees received skills upgrades, and he sponsored his team of managers to undertake Empretec’s management training. A careful plan was then laid out to expand the company at the national level. Alterdata today is a fully-managed company through performance indicators, smart goals, with highly efficient personnel management. “Everything that happened was only possible due to the vision that Empretec gave me,” he says. He has not looked back since. 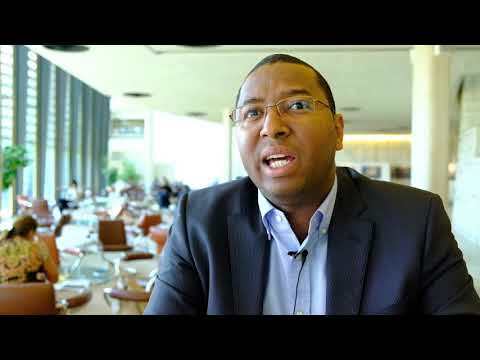 Ladmir won an Entrepreneur of the Year award from the famous magazine Você SA and the Endeavor institution in 2006. The company ranked several times among the best companies to work in Brazil, and in 2016 he won the coveted Ernest and Young Entrepreneur of the Year award. The culmination was a ranking among the ten best software companies in Brazil, published by the InfoExame magazine. With the outstanding company’s reputation and demand for quality, Alterdata also obtained the ISO9000 certificate. In 2018 the company had a total of 1,600 employees, 30,000 clients, 80 sales points, establishing Alterdata as the software company with the largest presence in Brazil. Recently, Alterdata created a Corporate University, because Ladmir’s Empretec training convinced him that training people is central to business success. In 2018, halfway between the four-yearly ministerial meetings of UNCTAD, we undertook the midterm review of the work programme given to us in the Nairobi Maafikiano outcome document, agreed in 2016, and continued to promote a culture of transparency and accountability in all our operations. As part of this work, we rolled out a management information system, an executive dashboard to support senior management decision-making. The dashboard provides access to critical financial, human resources, oversight and management data. We continued to strengthen our coordination and engagement with United Nations oversight bodies, leading to 100% implementation of oversight body recommendations during 2018, for the second year in a row. 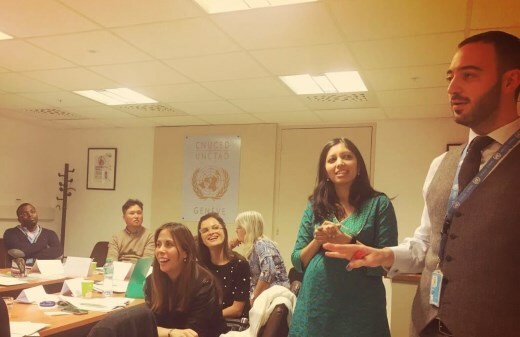 With newly empowered UN Resident Coordinators (from January 2019) and in the context of UN Development Assistance Frameworks (UNDAFs) becoming the most important United Nations country planning instrument in support of the 2030 Agenda, we focused on making technical assistance more integrated, more results-oriented and better funded in the coming years. In 2018, UNCTAD and partner agencies within the UN Inter-Agency Cluster on Trade and Productive Capacity were repositioned to meet those challenges. 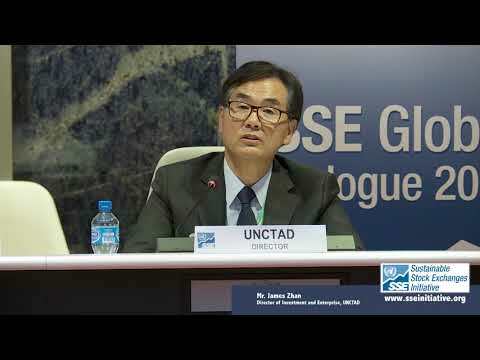 Expansion of the role of this UNCTAD-led cluster, which is involved in more than 30 UNDAFs, is expected in coming years to best respond to the pressing needs of governments requiring comprehensive solutions in trade and development. In October 2018, UNCTAD Secretary-General Mukhisa Kituyi provided a progress report to the group of member States which oversees the work of UNCTAD, the Trade and Development Board. He said that UNCTAD is moving to a horizontal, task-based approach by creating cross-divisional working groups on statistical coordination, gender mainstreaming, financing for development and South-South cooperation. Working with the governments of the global South to boost trade between their countries has been at the heart of UNCTAD work since it was founded and, in September, we celebrated the International Day for South-South cooperation. The day marked the 40th anniversary of the start of a global drive to improve South-South cooperation – the Buenos Aires Plan of Action for Promoting and Implementing Technical Cooperation among Developing Countries. Measuring the medium- to long-term impact of economic policy advice is no easy feat. 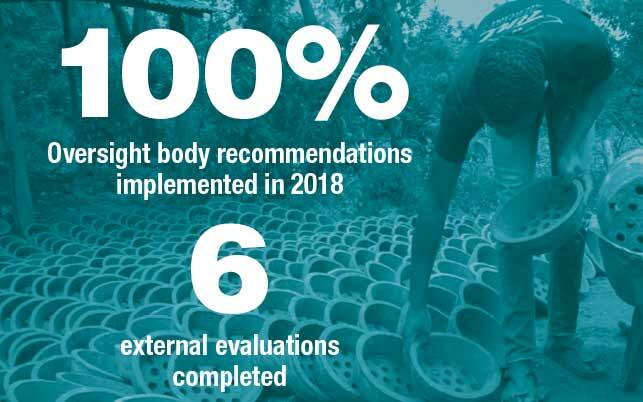 But UNCTAD is dedicated to delivering results, and we made substantial progress in 2018 in assessing the impact of our work. Through our results-based management approach, we defined performance indicators that help us better understand the extent to which UNCTAD work is relevant and useful, and how people apply the knowledge they acquire through UNCTAD. We introduced new ways to follow up with UNCTAD beneficiaries, establishing constant exchanges on what works and what doesn’t and ensuring the sustainability of results in our journey toward achieving the Sustainable Development Goals. 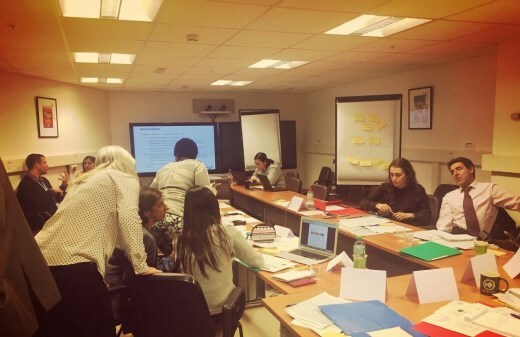 At the branch level, we expanded our in-house training in results-based management to help prepare for United Nations Secretariat management reforms. Our staff engaged in lively discussions about how their work contributes to the 2030 Agenda, the conditions and partnerships necessary to bring about change and how progress can be measured. Nishta Keeble, UNCTAD Programme Officer for RBM, delivering the training to staff members of the Competition and Consumer Protection Branch, Division on International Trade in Goods, Services and Commodities. UNCTAD staff from Competition and Consumer Protection Branch, Division on International Trade in Goods, Services and Commodities, participating in the in-house RBM training. In 2018, an independent corporate evaluation of subprogramme 5 on Africa, least developed countries and special programmes was completed to assess the relevance, effectiveness, efficiency and sustainability of this work in 2013–2017. Two independent evaluators and two representatives of UNCTAD member States – Switzerland and the United Republic of Tanzania – conducted the evaluation, representing a unique format for increased accountability, engagement and transparency. The findings were presented to the Working Party on the Strategic Framework and the Programme Budget, overseen by the Trade and Development Board. 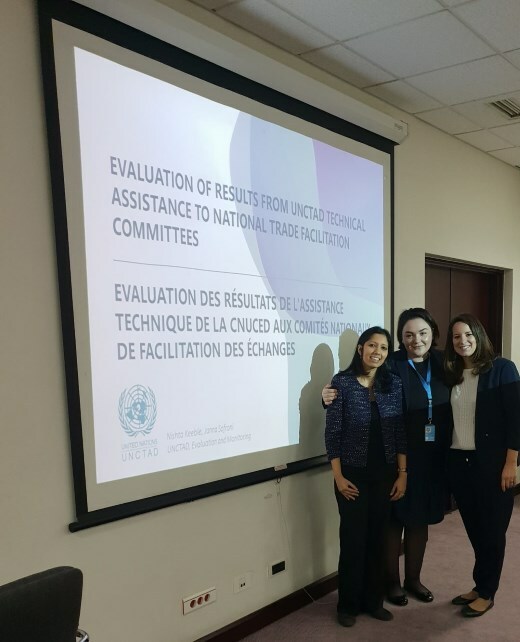 As part of evaluation activities, five external evaluations were also completed for several United Nations Development Account projects implemented by UNCTAD. Ongoing UN Development System reform means going beyond business-as-usual. At the organizational level, our Evaluation and Monitoring Unit completed a meta-analysis of the more than 250 recommendations that have emerged from the 29 evaluations of our projects and programmes conducted between 2011 and 2017. The meta-analysis looked at six in-depth programme evaluations and 23 final project evaluations – including work in more than 80 countries, primarily in sub-Saharan Africa, East Africa and Latin America and the Caribbean. This evaluation-based knowledge product is the first of its kind for UNCTAD and is aimed at catalyzing learning and increasing awareness of recommendations that are repeatedly raised. To support project managers to reflect on what went well and what could have been done better, our Evaluation and Monitoring Unit designed participatory self-evaluation guidelines for project managers – the latest tool to help us become more results-oriented in how we think and work. 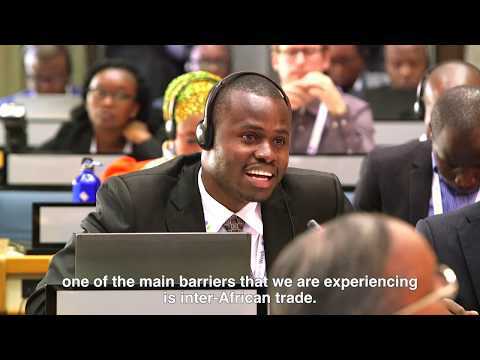 This approach was successfully tested during the First African Forum for National Trade Facilitation Committees in Addis Ababa, Ethiopia in November. 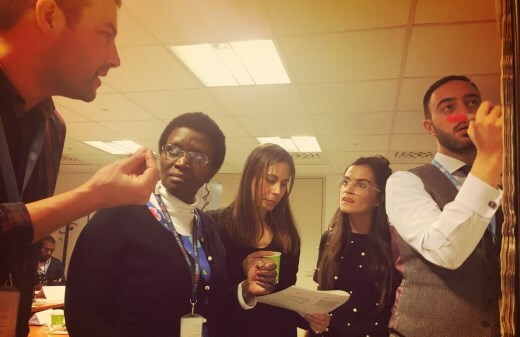 The results of a workshop held after the forum, which included the voice of its beneficiaries, will help project managers to shape the future phases of their work. As an International Gender Champion, Secretary-General Mukhisa Kituyi confirmed his commitment to gender equality in 2018, while a strategy to mainstream gender into UNCTAD research and analysis continued apace. 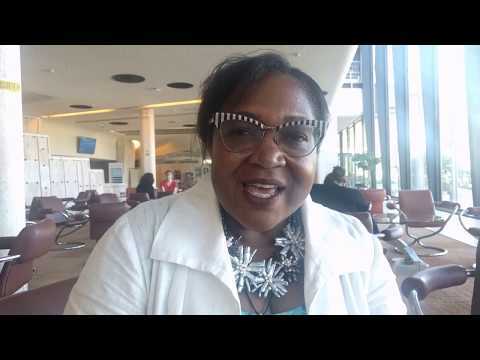 Deputy Secretary-General Isabelle Durant established a new cross-divisional body, the Gender Task Force, aimed at reinforcing, broadening and coordinating UNCTAD activities on women’s economic empowerment. 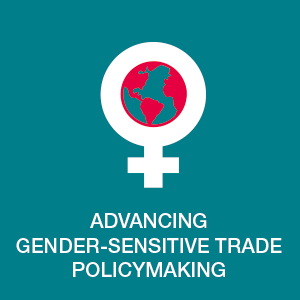 The first concrete result of the Gender Task Force was the launch of a new workstream on data and statistics for gender-responsive trade policymaking, which resulted in a policy brief and, in October, informed a ground-breaking panel at the Public Forum 2018 of the World Trade Organization. In 2018, we celebrated International Women’s Day by honouring the courage and resilience of women informal cross-border traders as seen through our project, Borderline: Women in cross-border trade. 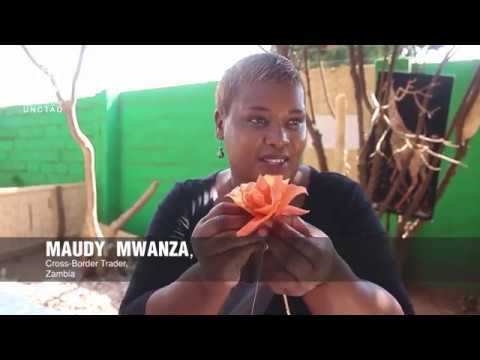 Following a fact-finding mission in East Africa, we presented a documentary about the stories of several women traders in Malawi and Zambia, showcasing their efforts to improve their livelihoods and provide for their families. The event included a photography exhibit about women who trade across borders between Malawi, the United Republic of Tanzania and Zambia. Following on the UNCTAD gender parity implementation plan, adopted in December 2017 in contribution to Secretariat-wide efforts led by United Nations Secretary-General António Guterres, UNCTAD launched its first Gender Parity Strategy, for 2018–2021. Our Senior Management Team continued to uphold the pledge made to implement gender equality effectively and called for support to the strategy’s initiatives for the attainment of gender parity before 2028. With an average of over 35% of women at the professional level and above for 2017, UNCTAD has registered an annual increase of 2% since 2016, reaching an average of 37% for 2018. It is also important to note that for the first time, UNCTAD has a woman Deputy Secretary-General, has achieved parity at the D-2 level and is near parity at the P-5 level. To assist developing countries, especially the least developed countries and countries with economies in transition, to integrate beneficially into the global economy in support of inclusive and sustainable growth and development. Through its work to promote development-centredglobalization, UNCTAD will help to implement the global development agenda and will assist developing countries in meeting their development goals, including poverty eradication, improving the well-being of citizens and addressing the opportunities and challenges created by globalization. In particular, UNCTAD will further enhance its efforts to support the development of Africa across its areas of expertise. To enhance economic policies and strategies at all levels for sustained growth, inclusive and sustainable development, full employment and decent work for all and poverty eradication in developing countries, especially the least developed countries, including through North–South, South–South and triangular cooperation. To ensure inclusive growth and sustainable development through investment and enterprise development for the enhancement of productive and technological capacity-building, industrialization, economic diversification, job creation and progress towards achieving the Sustainable Development Goals. To ensure the effective, qualitative and beneficial participation of all countries in international trade and to strengthen development gains from the commodity economy and address the trade and development challenges of commodity dependence. To strengthen inclusive growth and development through science, technology and innovation, including information and communications technology for development; efficient, resilient and sustainable trade logistics services; and training and capacity-building programmes. 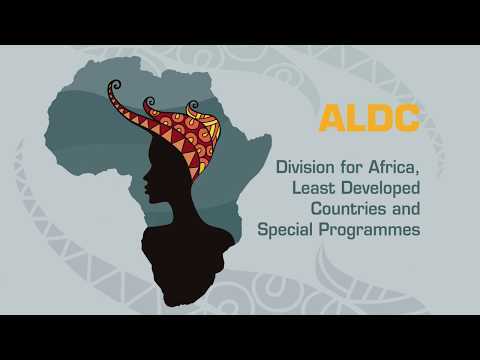 To progressively and beneficially integrate Africa, the least developed countries and other groups of countries in special situations (landlocked developing countries, small island developing States and other structurally weak, vulnerable and small economies) into the global economy through the development of national policies and international support measures to build productive capacities for economic development and poverty reduction. As the proverb goes, “If you want to go fast, go alone; if you want to go far, go together” – UNCTAD is proud of its partnerships within the United Nations family and further afield. Our support to the Global Compact for Safe, Orderly and Regular Migration – signed in Morocco in December – included work with the UN Population Fund, the Special Representative of the Secretary-General for International Migration and the International Organization for Migration. In 2018, we continued our Blue Economy work with the UN Division for Ocean Affairs and the Law of the Sea, and, in cooperation with the UN Development Programme and the Commonwealth Secretariat, strengthened our partnership with UN Environment Programme, the UN Food and Agriculture Organization and others on trade-related aspects of Sustainable Development Goal 14 on life below water. The UNCTAD partnership with the International Trade Centre is fundamental for increasing awareness of programmes for biotrade, non-tariff measures, trade facilitation, green jobs and many others, while our relationship with the World Trade Organization is equally essential in these and numerous other areas including, for example, assistance to cotton-producing countries on adding value to cotton by-products. 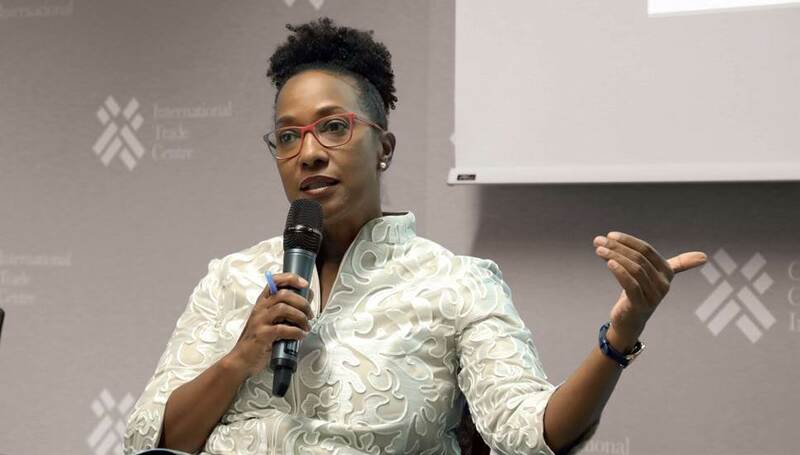 Pamela Coke-Hamilton, Director of the UNCTAD International Trade and Commodities Division, speaks as a panellist during the annual Trade for Sustainable Development Forum of the International Trade Centre, where the UNCTAD BioTrade Initiative was featured, in October 2018. In December, at the Katowice Climate Change Conference, UNCTAD and the World Alliance for Efficient Solutions, a Swiss non-governmental organization established by Bertrand Piccard’s Solar Impulse Foundation, agreed to work together to seek out innovative answers to climate change conundrums and bring renewable energy to Africa. In May, we hosted more than 350 partners from the science and technology community, including government officials, science advisors, diplomats and non-governmental organization representatives, at the 21st session of the UN Commission on Science and Technology for Development. In July, the Economic and Social Council adopted two recommendations agreed by the Commission. 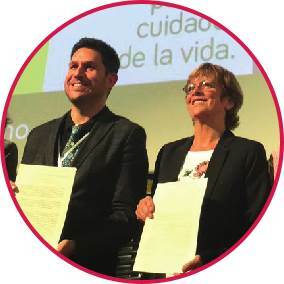 The Fair Trade Advocacy Office in Brussels and UNCTAD joined forces in October to improve the living and working conditions of artisans, workers and smallholder farmers and producers in Africa, Asia and Latin America. The partnership focuses on promoting a fair and equitable distribution of benefits along global value chains, especially concerning small and medium-sized enterprises. Under an agreement signed in December, we joined forces with the International Islamic Trade Finance Corporation on a project to assess the readiness of post-conflict Iraq to engage in and benefit from e-commerce. The partnership enables UNCTAD to carry out a Rapid eTrade Readiness Assessment for Iraq, under the Aid for Trade Initiative for the Arab States programme. In December, member countries of the East African Community met to make trade within and outside the group cheaper, faster and more straightforward. UNCTAD and the East African Community secretariat organized the meeting with the support of Trade Mark East Africa and the International Trade Centre. At the same meeting, we renewed our cooperation agreement with Trade Mark East Africa for 2019–2021. 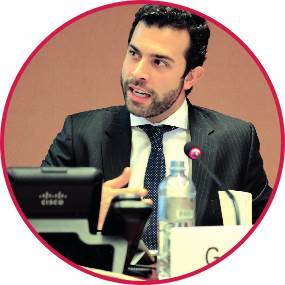 In April ICC Brasil, the Brazilian arm of the International Chamber of Commerce and UNCTAD signed an agreement to work together as part of the Intelligent Tech and Trade Initiative to enhance international trade and trade negotiations with cutting-edge technologies, such as artificial intelligence and blockchain. By October, the partnership had borne fruit with the introduction of a prototype application, the Cognitive Trade Advisor, powered by artificial intelligence and designed to assist trade negotiators. The philanthropist and Alibaba founding Executive Chair, Jack Ma, continued his role as UNCTAD Special Advisor for young entrepreneurs and small business until September 2018. In August, Mr. Ma spoke alongside Secretary-General Mukhisa Kituyi at Netpreneurs: The Rise of Africa’s Digital Lions at Wits University in Johannesburg, South Africa, to highlight the critical role young “netpreneurs” play in the digital economy and the challenge of converting young talent emerging in Africa into a development dividend. 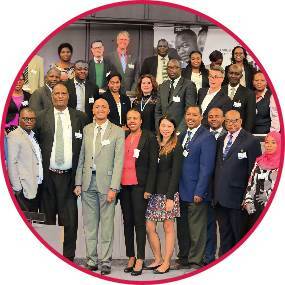 Also at the event, and as part of a “smart partnership” with the Alibaba Business School, around 30 graduates of the joint UNCTAD and Alibaba Business School eFounders Fellowship initiative shared their experiences, while a similar number also participated in the World Investment Forum 2018, the Youth Forum 2018 in Geneva and our first ever Africa eCommerce Week in Nairobi, Kenya in December. At these events, the graduates were able to strengthen their network and provide insights to governments on advancing the digital agenda. After launching successfully in November 2017, eFounders Fellowship study tours to the Alibaba Business School in Hangzhou, China continued in 2018; one for 38 young African netpreneurs in June, and two for participants from Asia in March and November. Altogether, 128 young entrepreneurs from developing countries graduated from the ground-breaking programme in 2018. 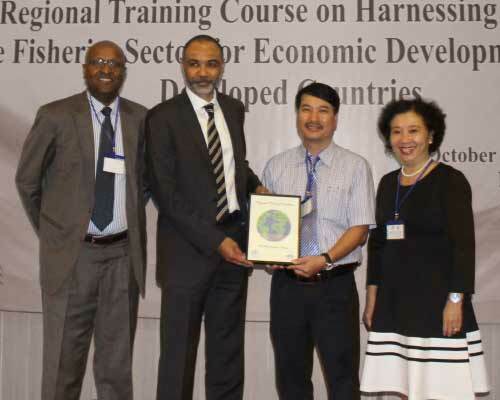 From left: Mussie Delelegn, senior economic affairs officer at UNCTAD, Paul Akiwumi, Director of the Division on Africa and Least Developed Countries of UNCTAD and colleagues from Nha Trang University mark the completion of the first regional training course on harnessing the fisheries sector for Economic Development in November 2018. Together with the Nha Trang University, in 2018 we opened a Regional Centre of Excellence in Viet Nam to serve as a hub for upskilling practitioners and policymakers in fisheries and aquaculture in the least developed countries. The UNCTAD-led fisheries diversification training programme is having a tremendous ripple effect in other policy and regulatory circles. Mozambique, for example, has taken important steps to develop a domestic aquaculture subsector. 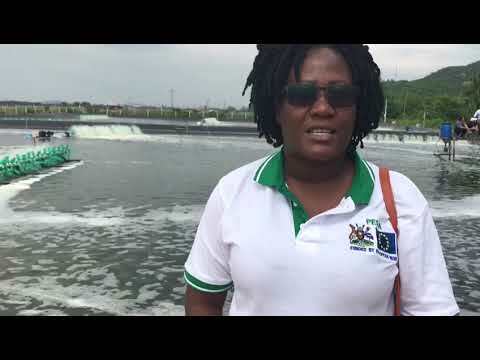 It also established a multi-sector task force of key ministries, the private sector and civil society to develop a model for developing the marine-based and freshwater aquaculture. Our partnership with Nha Trang University has already seen tangible impacts, with concrete changes in domestic legislation, institutions and policies in some of the participating countries. The policy and legislative changes are one development in what will be a slew of knock-on impacts that will reshape fisheries and aquaculture in economies that need it the most. The university and UNCTAD worked with the Marine Stewardship Council, the International Organization for Standardization and the Royal Tropical Institute of the Netherlands on the course modules. We signed an agreement with the International Trade Centre and the World Trade Organization in November to develop an online platform aimed at providing businesses, particularly smaller firms, better access to trade data and information on potential export markets. Gaining access to information on tariffs and other requirements for accessing export markets imposes costs on firms wishing to trade, and for small businesses, this can be a substantial barrier to market entry. 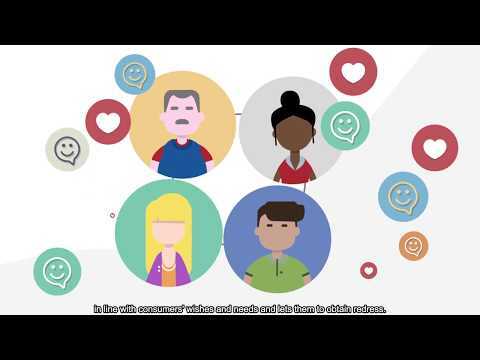 Making trade data freely available through a user-friendly interface, the platform, known as the Global Trade Helpdesk, will help remove this barrier by providing businesses with the critical information they need to reduce trade costs and participate more profitably in global trade. In addition to drawing on data from the International Trade Centre, UNCTAD and the World Trade Organization, the Global Trade Helpdesk will integrate trade information from several other international organizations and development banks, including the Inter-American Development Bank, the United Nations Industrial Development Organization and the World Bank Group. 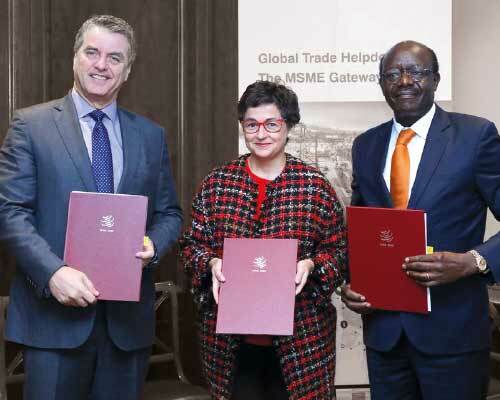 From left: Roberto Azevêdo, Director-General of the World Trade Organization, Arancha González, Executive Director of the International Trade Centre and Mukhisa Kituyi, Secretary-General of UNCTAD join forces on the Global Trade Helpdesk on 23 November 2018. The room was buzzing at a special event to underline our partnership with civil society representatives in October. Our new-format HiveTalks took the form of several rounds of moderated brainstorming with participants circulating between groups to “cross-pollinate” fresh ideas on how to make trade a better tool for development. Previous meetings, usually comprising formal hearings, have sometimes been short on dialogue, so the HiveTalks dropped the speeches and statements. Deputy Secretary-General Isabelle Durant was the driving force behind the HiveTalks, with experience of the format from her previous work as a vice-president of the European Parliament. Forty representatives of accredited non-governmental organizations took part in the event, held at the Graduate Institute of International and Development Studies of Geneva. They split into five groups to discuss how civil society can work with us on climate change, technology and e-commerce, gender, crisis and resilience and inequality. 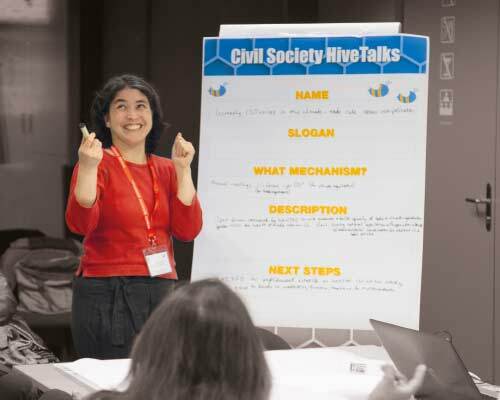 Participants of the Civil Society HiveTalks event in Geneva in October 2018. Richard Kozul-Wright (right) Director, Division on Globalization and Development Strategies of UNCTAD. 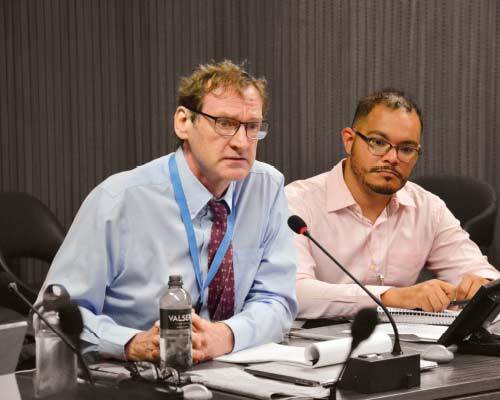 The inaugural UNCTAD Summer School event kicked off in September with a lecture by Richard Kozul-Wright, Director of the Division on Globalization and Development Strategies of UNCTAD. The theme of the Summer School event was “Money, finance and debt: Old debates, new challenges,” and Mr. Kozul-Wright spoke about the predicament faced by developing countries in an imbalanced world economy and the history of the contribution of UNCTAD to the debate. Around 45 members of the Young Scholars Initiative, a global network of researchers and young professionals from a range of universities and other institutions, run by the New York-based Institute for New Economic Thinking, attended the week-long event at the Palais des Nations in Geneva. During the UNCTAD World Investment Forum in October, we held our second Youth Forum with the participation of over 150 young men and women from more than 70 countries. The forum provides an opportunity for young people to exchange views and engage directly with thought leaders and experts. In 2018, the event focused on the power of youth entrepreneurship for sustainable and inclusive development. Interactive sessions, workshops and “youth o’clocks” facilitated a dynamic exchange on shaping the world for 2030 and covered a wide range of topics such as the future of entrepreneurship, smart villages, cybersecurity, blockchain, leadership and teamwork, and women’s empowerment – to name a few. Among the primary outcomes was a pledge by young people to work systematically with UNCTAD in the creation of UNCTAD Youth Action Hubs, a new project to be launched in 2019. * A major part of contributions represents self-financing of ASYCUDA and DMFAS programmes, financed from proceeds of loans, credits or grants from international financial institutions. Note: Provisional data as of 31 January 2019. At the heart of UNCTAD work in New York are the intergovernmental bodies and processes centred at United Nations Headquarters, such as the General Assembly, the Economic and Social Council, the Addis Ababa Action Agenda, the High-Level Political Forum on Sustainable Development and many others. In 2018, we contributed to the reform package being advanced by United Nations Secretary-General António Guterres to ensure that countries benefit from United Nations system expertise and capacity, as a whole, at the national, regional and global levels. Our New York Office continued to represent UNCTAD in essential meetings, reach out to UN agencies and other stakeholders, including the media, and launch UNCTAD reports to create awareness of our mandate, analysis and technical assistance activities. We played an active role in the third Financing for Development Forum, convened by the Economic and Social Council in April 2018 at United Nations Headquarters in New York, participating in sessions and holding side events. The forum supported countries’ path to sustainable development by brokering partnerships, pursuing innovative finance, leveraging resources and building the necessary capacities. This was followed in November by the second session of the Intergovernmental Group of Experts on Financing for Development in Geneva. The meeting focused on debt and debt sustainability and interrelated systemic issues in the Addis Ababa Action Agenda. We helped organize a high-level event on the economic dimensions of intra-African migration during the 73rd session of the UN General Assembly in September 2018 – in support of the Global Compact for Migration signed in December – while in June, we supported political group briefings on the opportunities of technological change at the Multistakeholder Forum on Science, Technology and Innovation. Also in 2018, the New York Office offered workshops to professors at the University of Public Administration in Quebec, Canada, to help them integrate the Sustainable Development Goals into their curricula, and supported or co-organized such events as the Global Solutions Summit and “Creating a Shared Future for Entrepreneurs”, a forum jointly organized with the International Council for Small Business and other partners in May 2018. The UNCTAD Regional Office for Africa in Addis Ababa, Ethiopia has become a trusted technical partner of governments and regional economic communities in Africa, as well as the African Union Commission, for high-quality advisory services, trade policy support and capacity-building. In 2018, our presence in Africa bore fruit with our support for the adoption of the historic Agreement on the African Continental Free Trade Area. We spearheaded technical cooperation to realize the new and better treatment African countries will enjoy thanks to this agreement, delivering technical studies, negotiation advisory services and training courses. Together with divisions in UNCTAD, the African Union Commission and the United Nations Economic Commission for Africa, we initiated support for phase II of the negotiations under the Agreement. Drawing on our expertise will allow African governments to save time and build on the best models for integration to deliver new markets, industrialization, jobs and structural transformation. We continued our support to the building blocks of African integration, the regional economic communities, in 2018, including through finalization of a regional services policy review of the Economic Community of West African States. Meanwhile, an UNCTAD Science, Technology and Innovation Policy Review of Ethiopia – aimed at anchoring the take-off of the country’s digital economy – and the Entrepreneurship Policy Framework – to shape a policy response for small and medium-sized enterprises – also benefited from the coordinating role of our Africa Office. 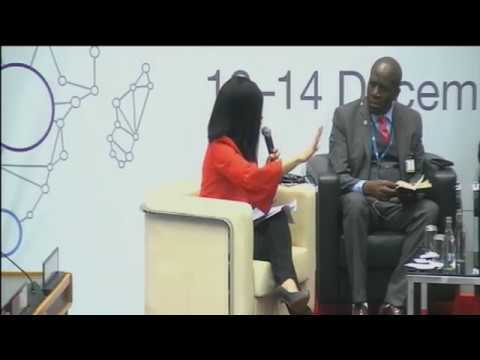 Joy Kategekwa (left), Head of the UNCTAD Regional Offce for Africa, in conversation with Hanna S. Tetteh, Director-General of the United Nations Offce at Nairobi, during UNCTAD Africa eCommerce Week, in Nairobi, Kenya, in December 2018. Each year our Annual Report features UNCTAD staff telling us what they do and how their work contributes to the 2030 Agenda and its goals. 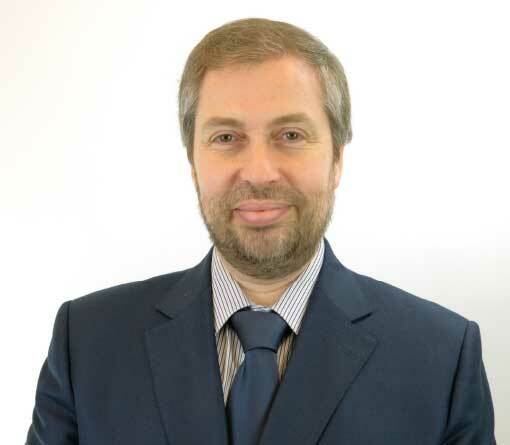 “My work attempts to address the triple trade and development challenges facing landlocked developing countries (LLDCs): weak productive capacities and lack of structural economic transformation, persistent vulnerabilities to external shocks, and high trade-transport costs resulting not only from distance and geography, but also from their export of low-value, high-volume primary commodities. In addressing these challenges, my work identifies policies and strategies, as well as international support measures in favour of LLDCs, with the aim of fostering productive capacities and structural transformation. The overall objective is to enable LLDCs to make substantial progress towards the SDGs by 2030, and to achieve the goals and targets of the Vienna Programme of Action by 2024”. In December 2018, UNCTAD staffers Arnau Izaguerri and William Taborda won the UNCTAD Innovation Challenge with a proposal to bring Open Source software coding to bear on projects promoting sustainable economic development. The winning plan receives $60,000 to fund a trial in real-life conditions. 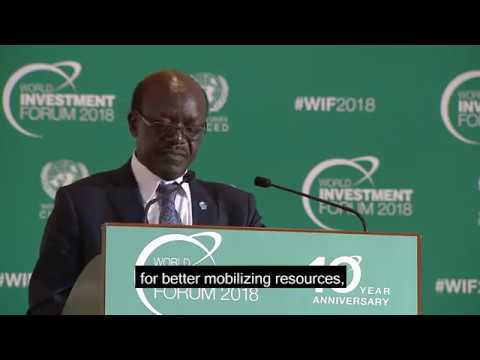 “I was very happy to see interesting ideas from all 17 proposals for the prize I put up,” Dr. Kituyi told a packed town hall-style meeting for UNCTAD’s 500 employees at its Geneva headquarters before announcing the winners. Arnau and William, who work for UNCTAD’s Division on International Trade and Commodities, said they were delighted to have won the contest to find new ways of improving UNCTAD’s delivery model for its stakeholders. “Globally, over 31 million developers in two million organizations contribute to open source projects, bringing people together,” William said. But a drawback of such projects like WordPress and Bitcoin is that they become increasingly driven by the need to monetize. The project will build up UNCTAD’s capacities to provide and develop Open Source tools through a tailor-made methodology, clear guidelines and comprehensive training, the winning pair said. Arnau and William have already developed www.opensource4dev.com to explore their idea. A shortlist of finalists was drawn up by a three-member jury of independent experts, while the winning choice was made personally by Dr. Kituyi. Jury member Désirée van Gorp, a professor of international business at Nyenrode Business University in Breukelen, the Netherlands, said it was crucial for UNCTAD to engage in innovation to remain relevant in the future. “I applaud UNCTAD for taking the initiative to bring in innovation by engaging UN professionals in sharing their ideas,” she said. All organizations, public or private, will “have to deal with a digital transformation where the use of data is the fuel for progress and redefining relevance for the future,” Ms. van Gorp said. 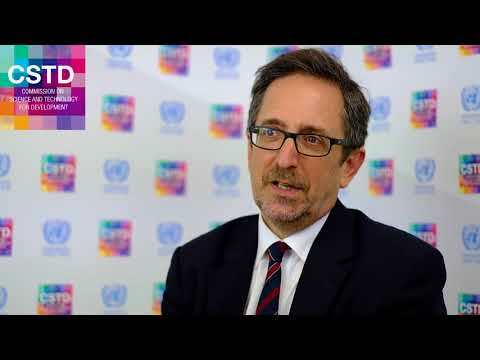 William Taborda, Philippe Rudaz and Tamara Gregol, finalists for UNCTAD's staff Innovation challenge, watch the video of their pitches. 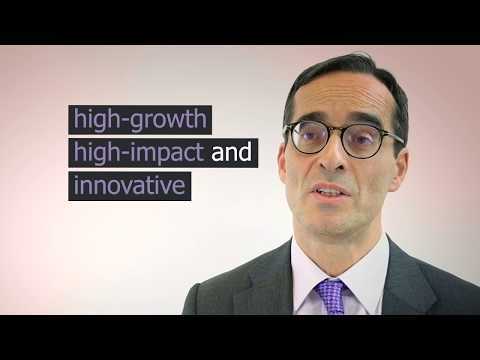 Christoph Spennemann, Pierre Horna, Alberto Munisso and Simon Neumuller, finalists for UNCTAD's staff Innovation challenge, watch the video of their pitches. The jury was completed by David Jensen, who heads the Environmental Peacebuilding Programme for UN Environment, and Mario Jordan Fetalino III, chief executive of Acudeen Technologies. Mario is a graduate of the eFounders Fellowship programme for young e-commerce entrepreneurs from developing countries established by UNCTAD and Alibaba Business School. Dr. Kituyi underlined that the United Nations must innovate to stay relevant and UNCTAD must lead the way. He said it must remain “ahead of the curve” in its way of working so that it can provide the best policy advice, technical assistance service and meetings platform to developing countries aspiring to trade out of poverty.